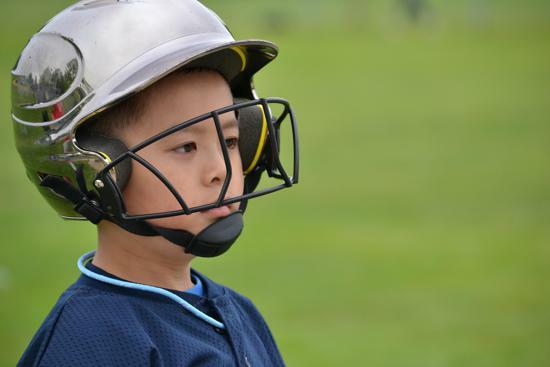 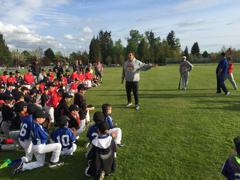 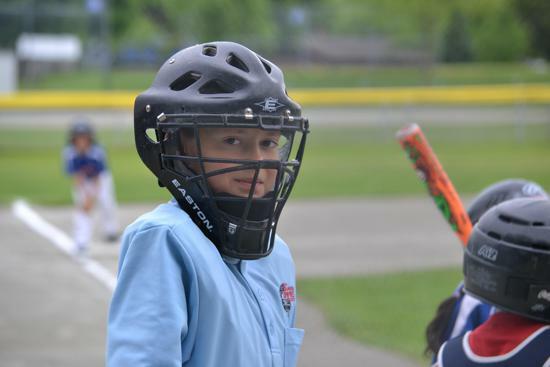 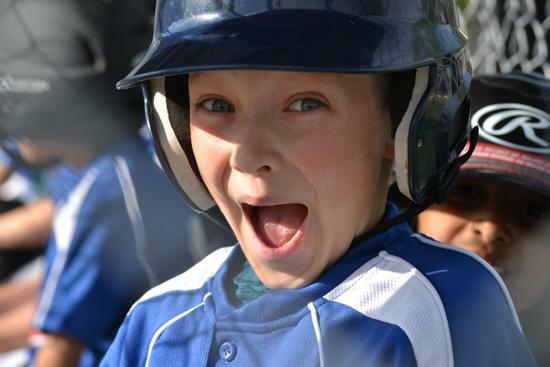 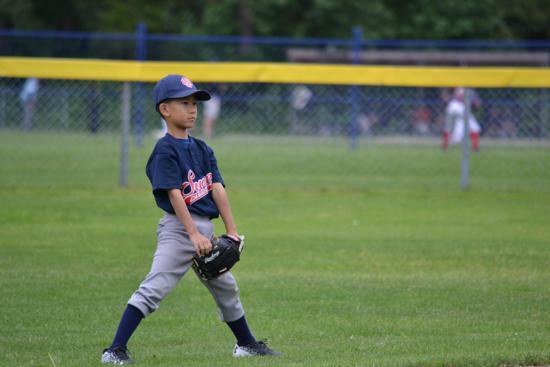 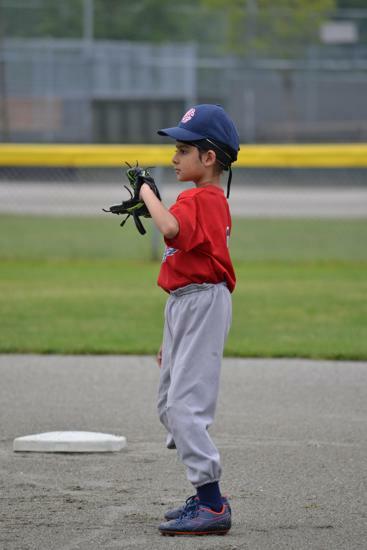 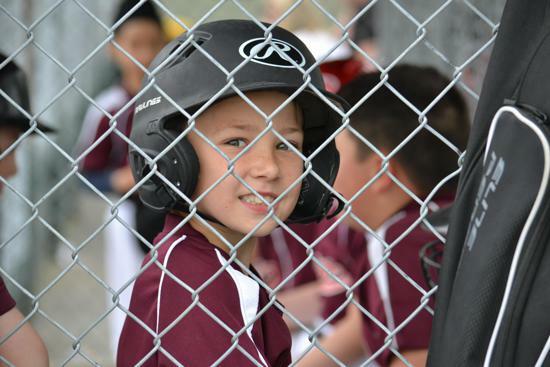 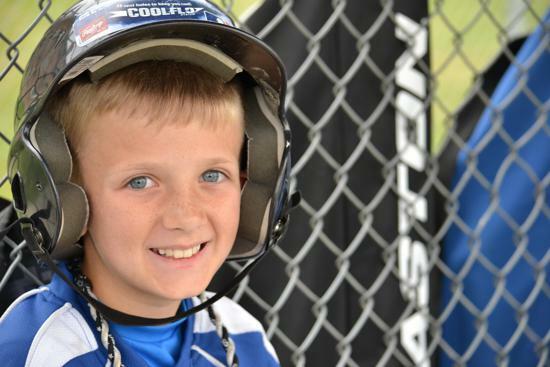 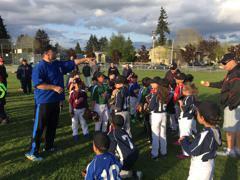 Please click on the link below for 2019 Spring registration. 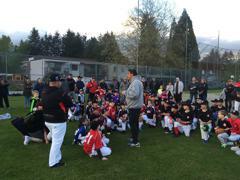 Early bird registration discount of $25 applies to all registrations received prior to Jan 31, 2019. 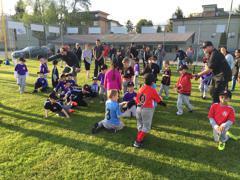 Come join us for next season! 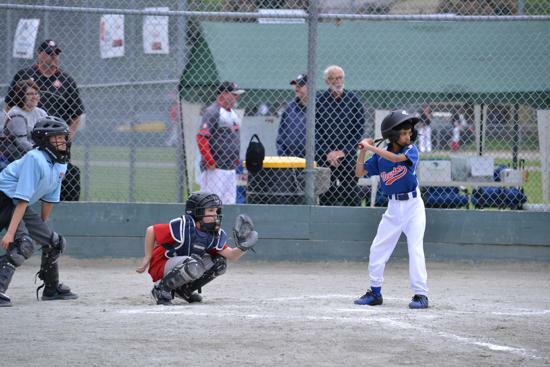 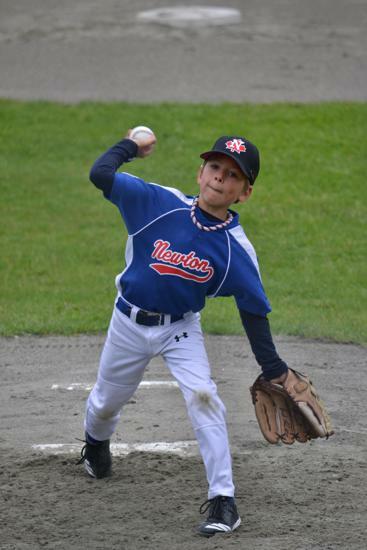 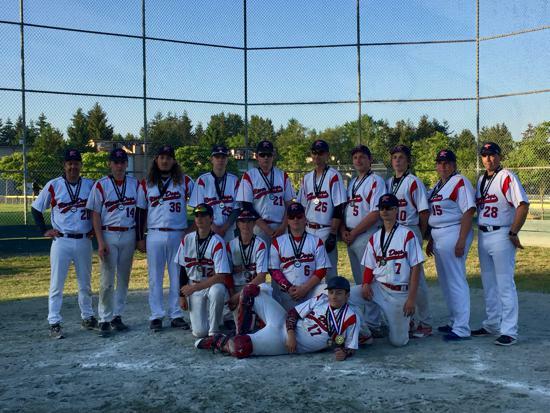 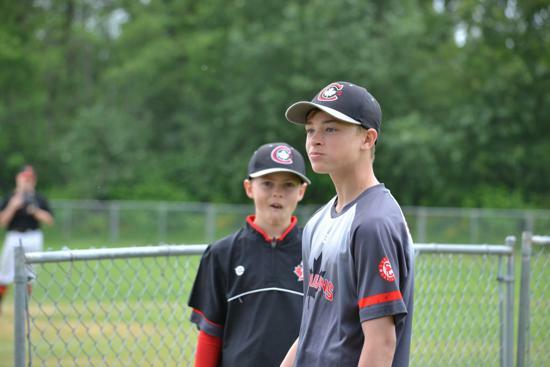 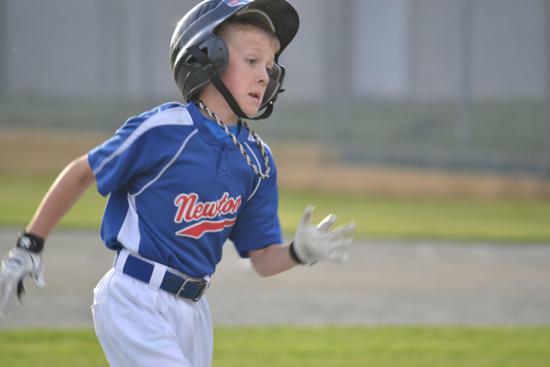 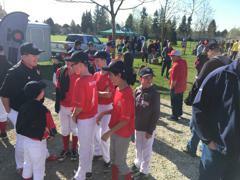 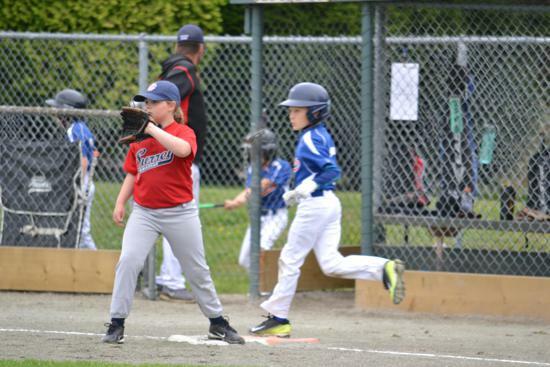 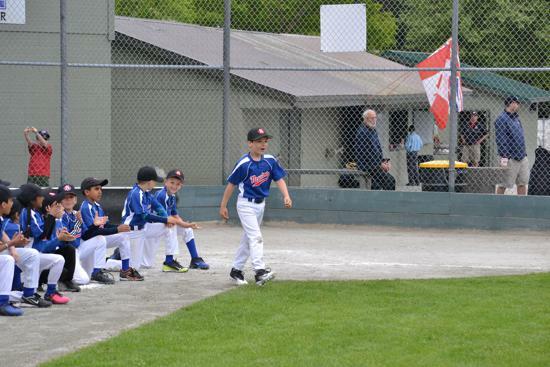 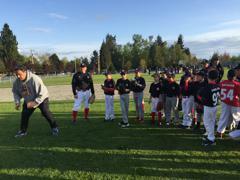 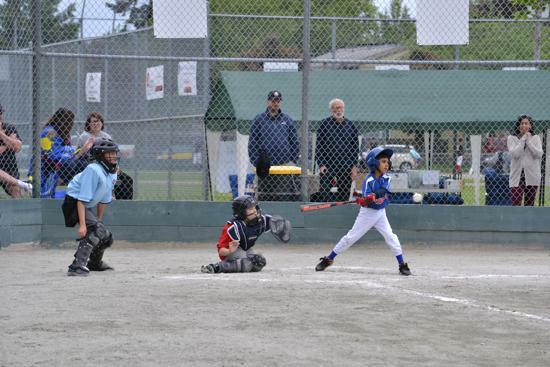 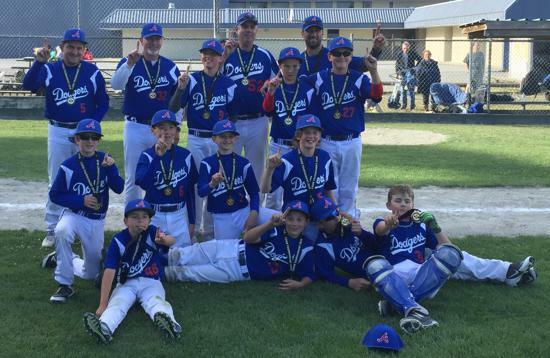 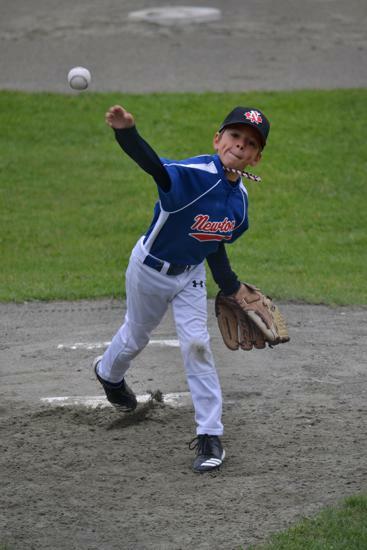 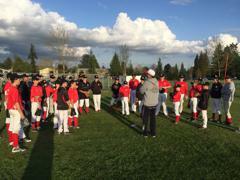 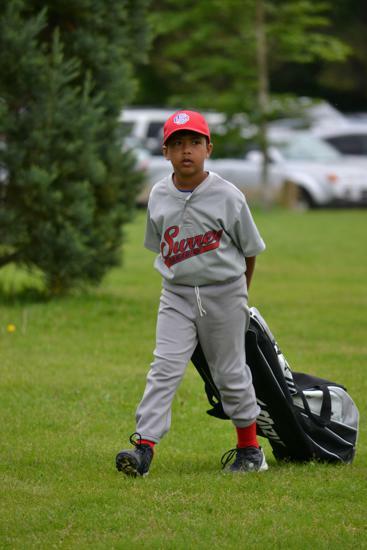 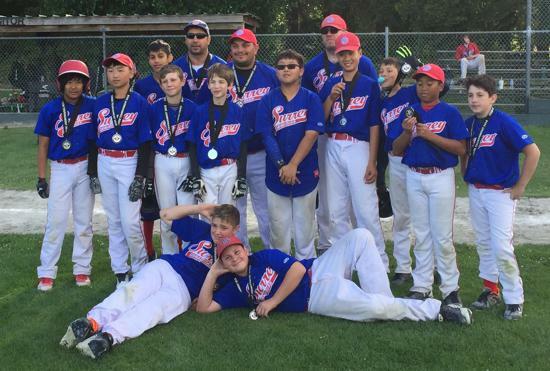 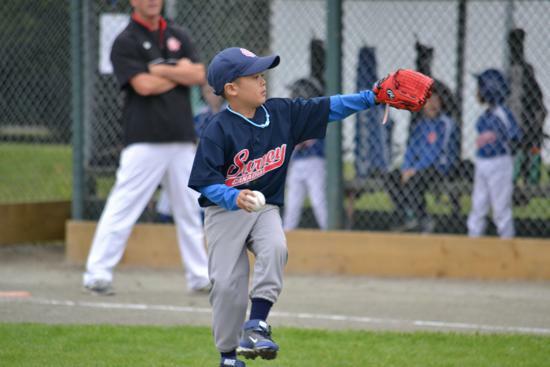 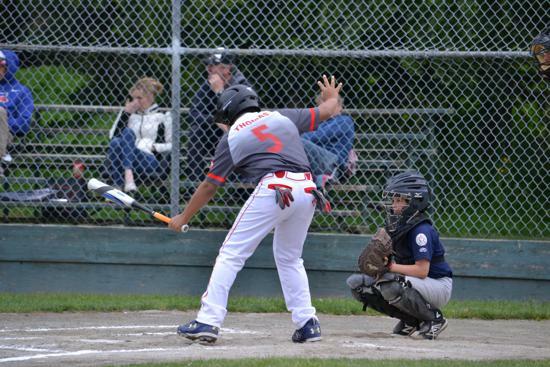 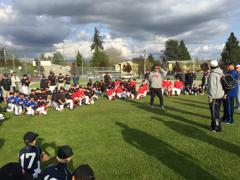 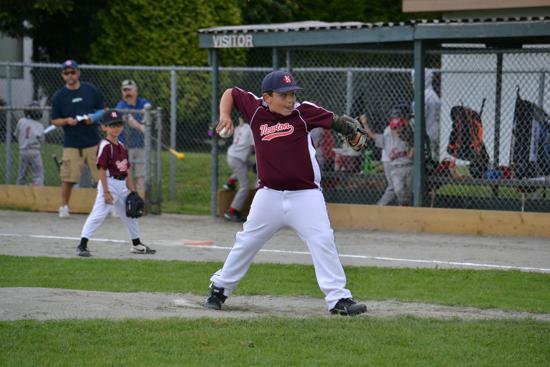 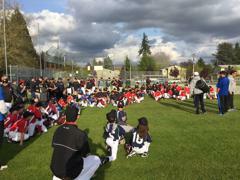 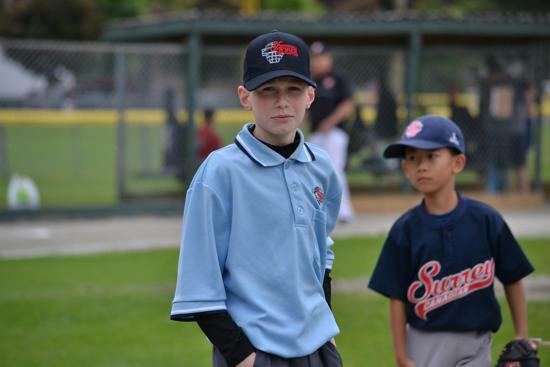 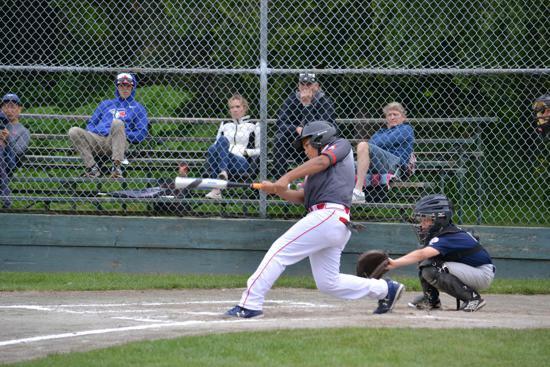 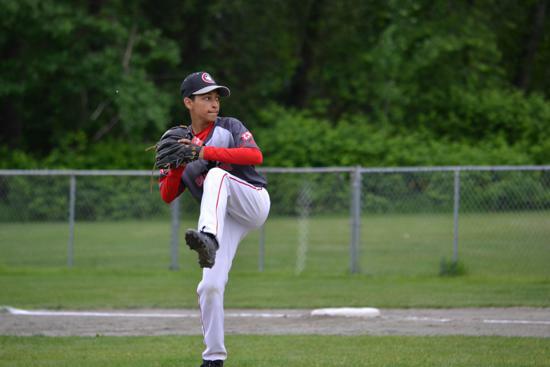 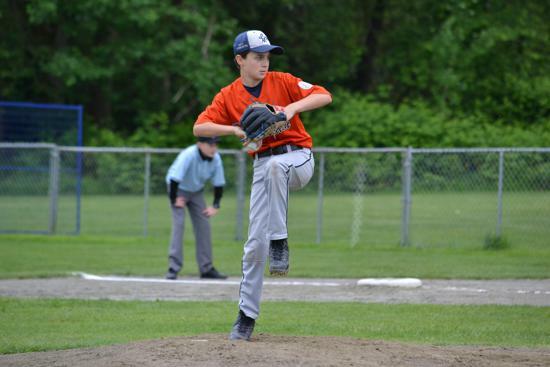 Congratulations to our Surrey Newton PeeWee AA team on their dramatic win at the BC provincials yesterday. 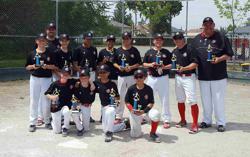 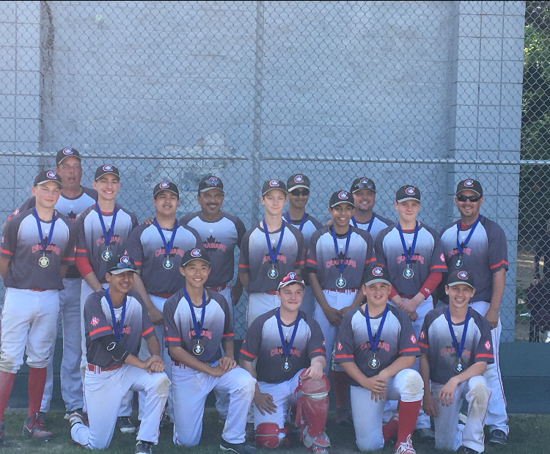 As Provincial Champions they are representing us as Team BC at a major tournament in San Diego. 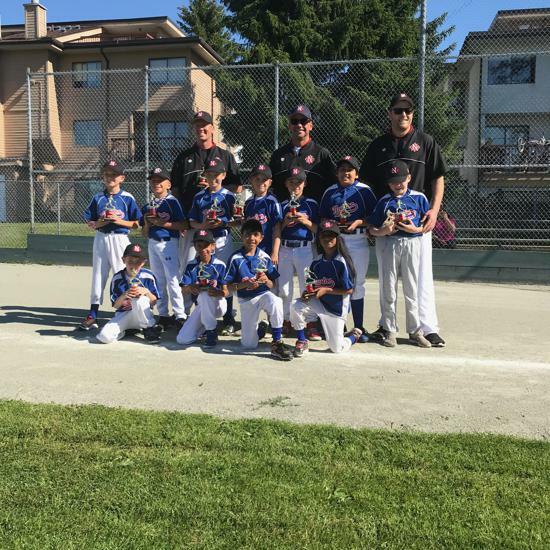 Both Surrey Newton Rep teams acquitted themselves well at the weekend's Valley of Champions Tournament in Kelowna. 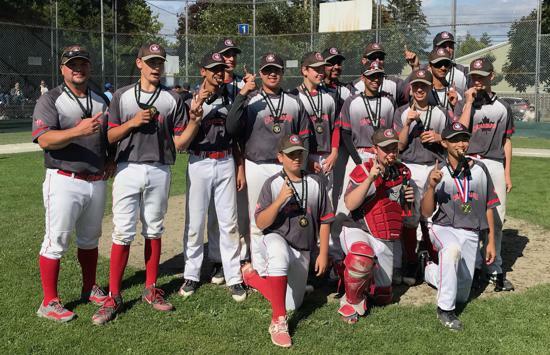 PeeWee AA capped off a dominant tournament performance by beating Abbotsford in the finals while the Bantam AA fell just short against a strong Prince George side. 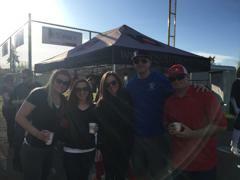 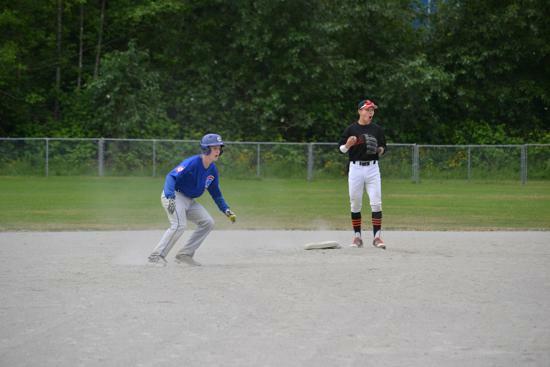 In a tight back and forward game a sac bunt and suicide squeeze at the top of seven sealed the deal! 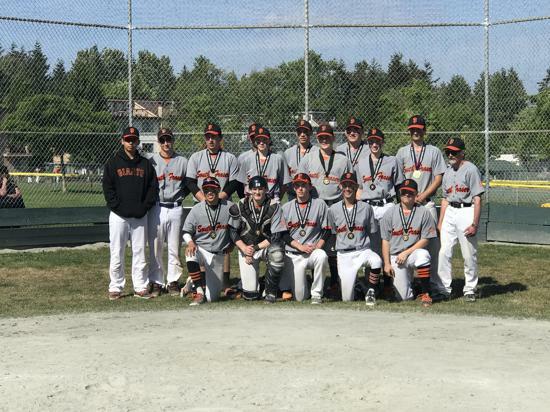 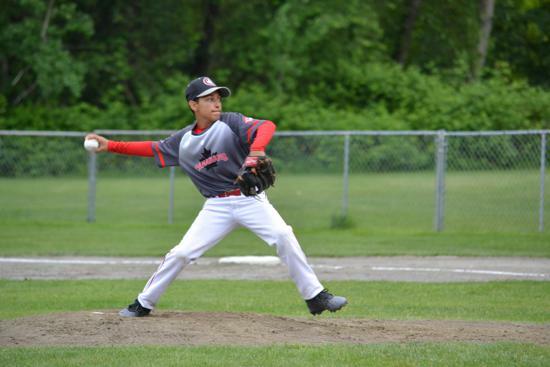 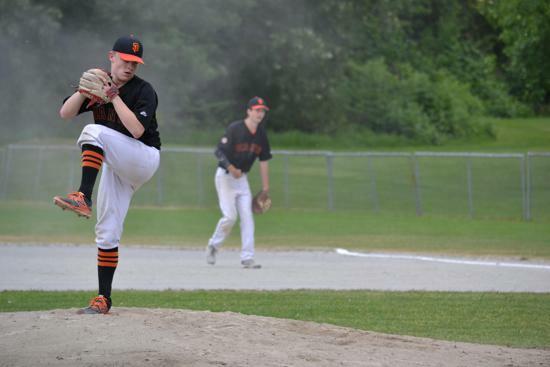 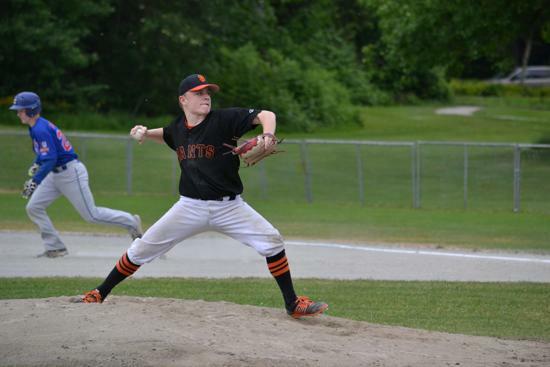 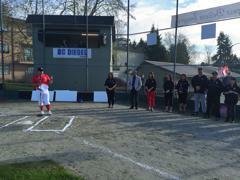 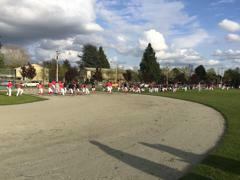 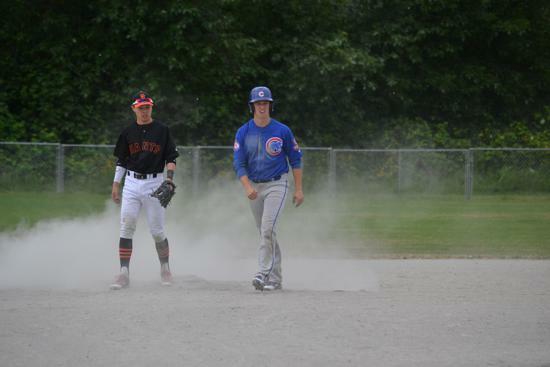 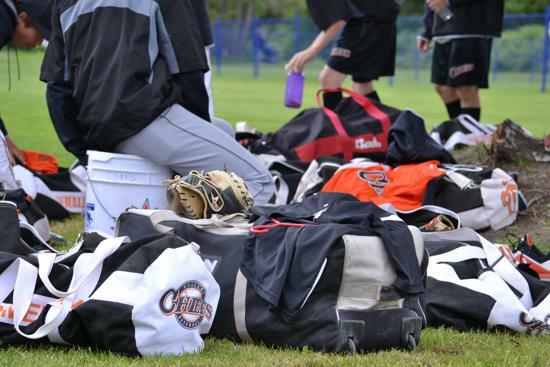 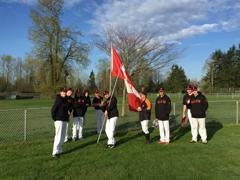 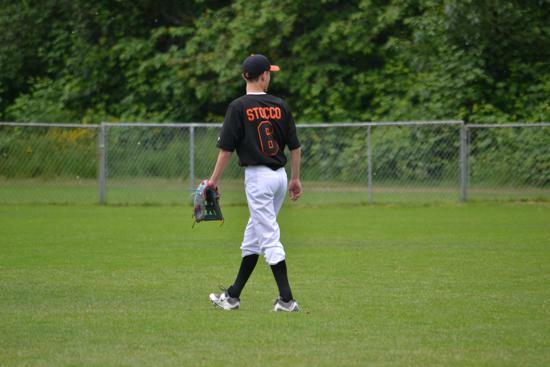 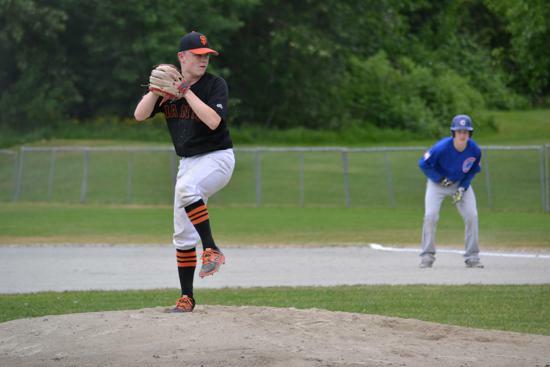 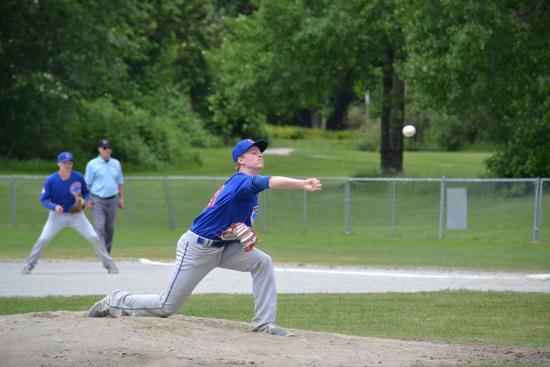 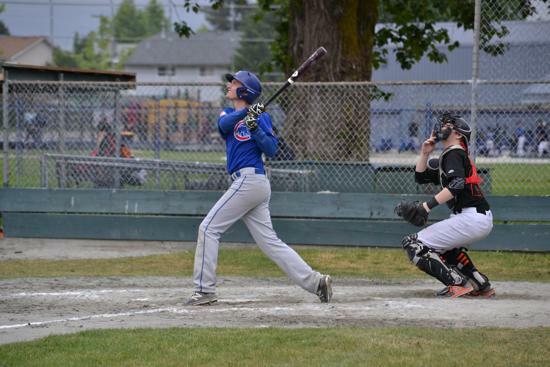 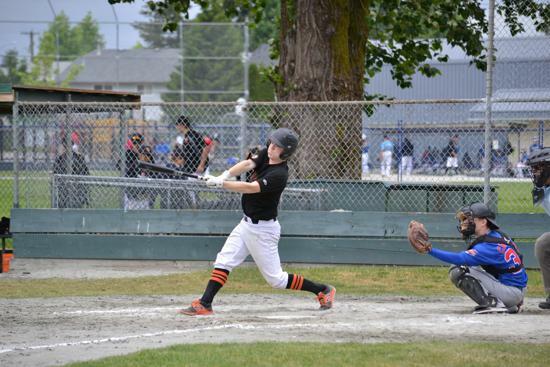 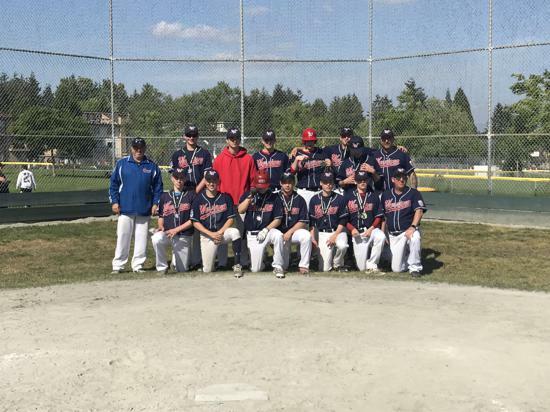 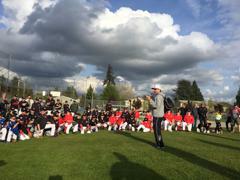 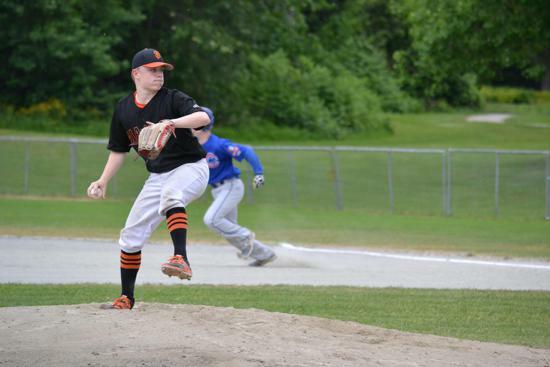 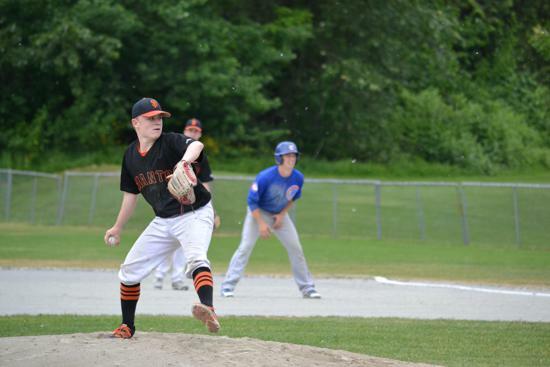 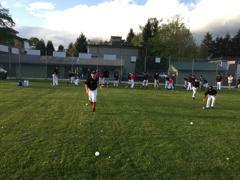 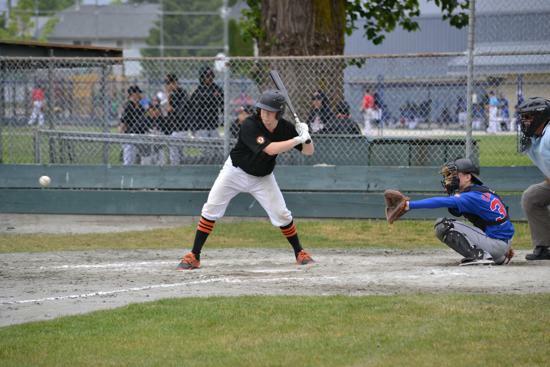 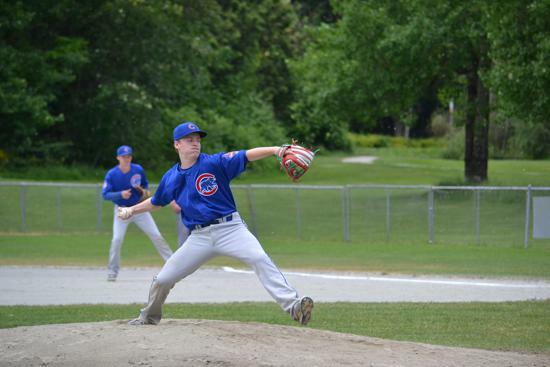 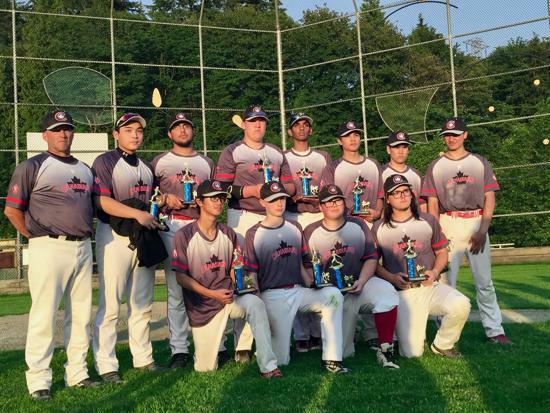 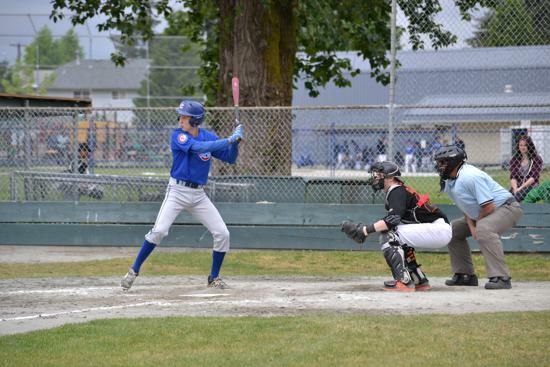 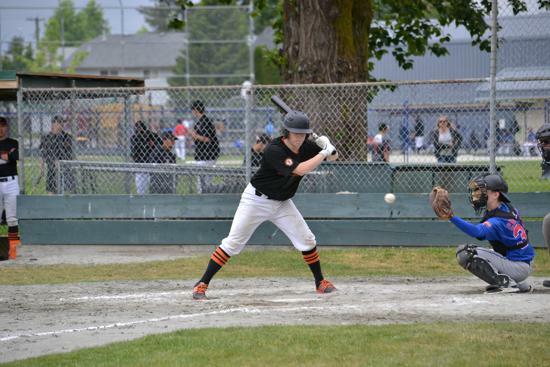 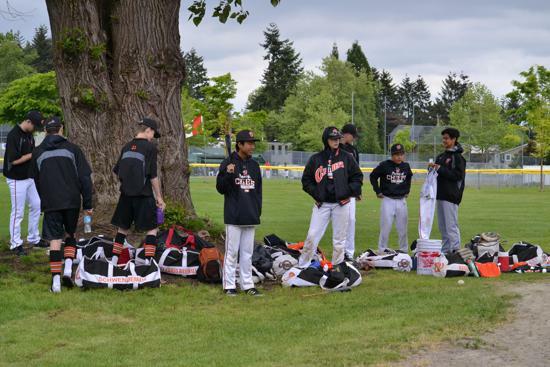 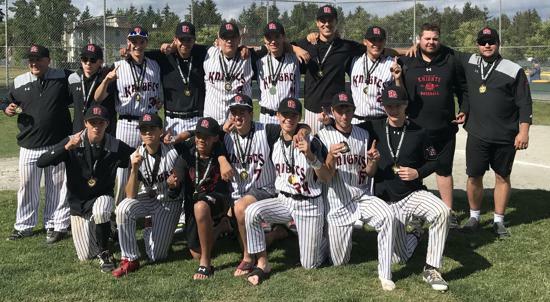 The merged Surrey / Newton Midget AA Mets bested a strong North Shore team in the final game of spring. 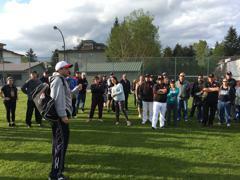 A great way to end the season and for the aged out players to finish their tenure at the Club. 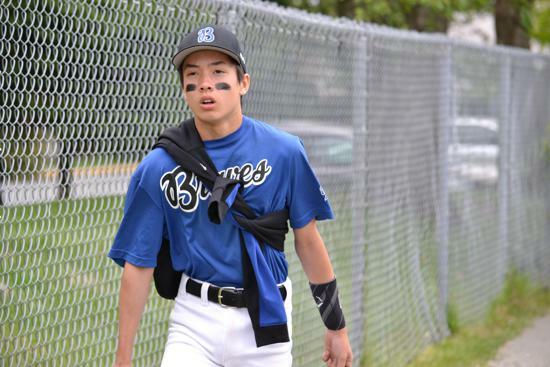 Shimpachi "Patch" Meta will be returning to Japan after three years with the club. 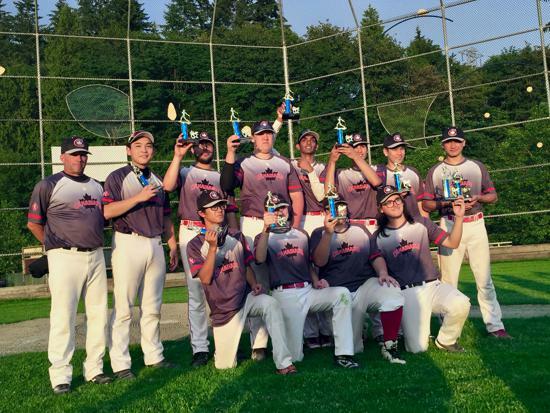 Newton Timbers won the Tier 2 Championship yesterday 8-7! 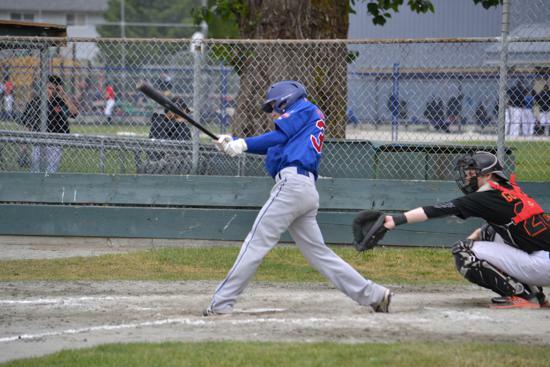 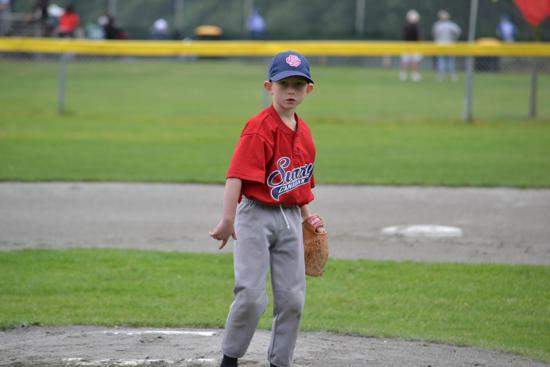 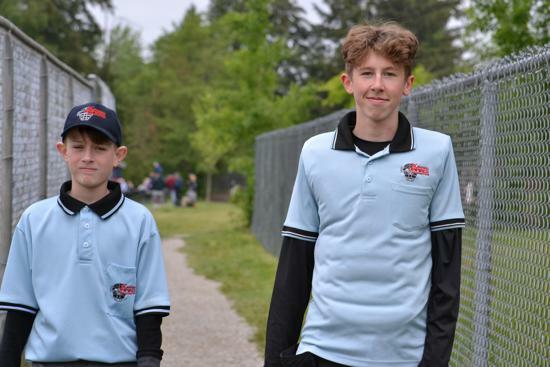 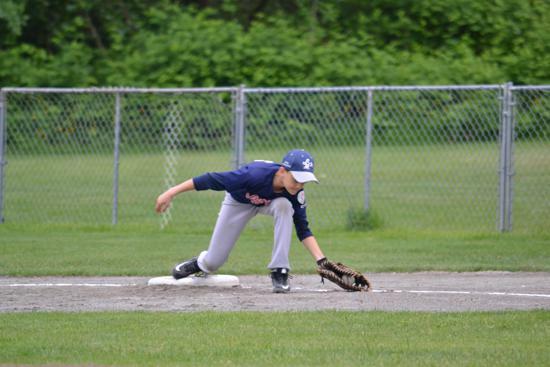 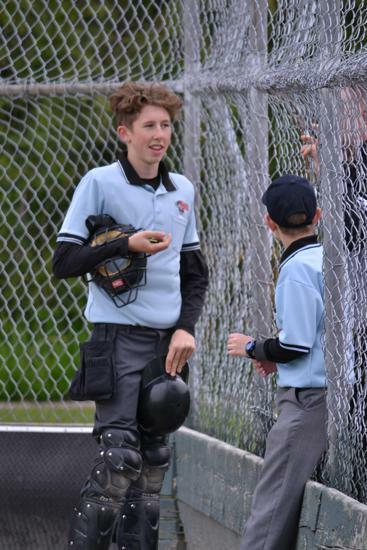 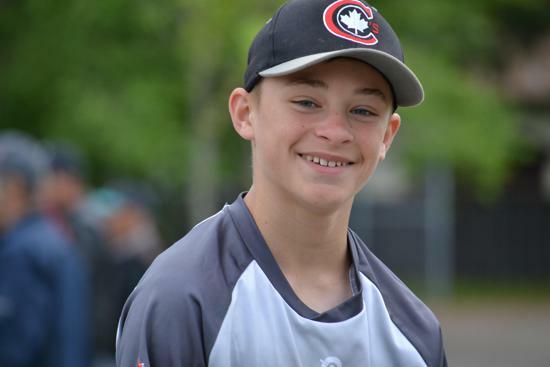 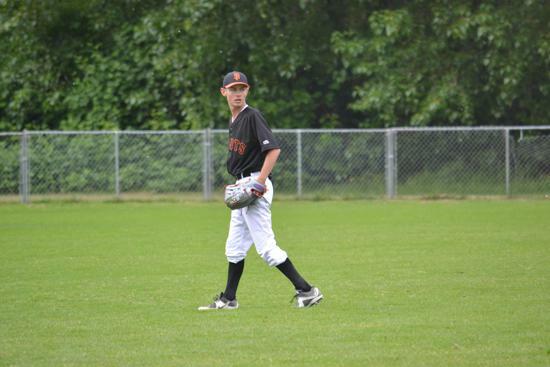 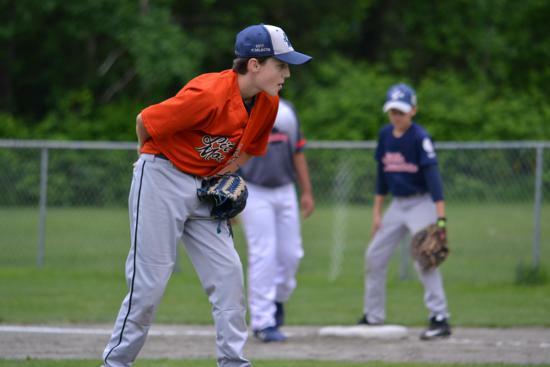 Tied going into bottom of 7th, with 2 outs and 2 strikes on him, Thomas Reidy hit the winning single down 3rd base to score the runner from 2nd capping a brilliant team performance and beating a strong Cloverdale team.. 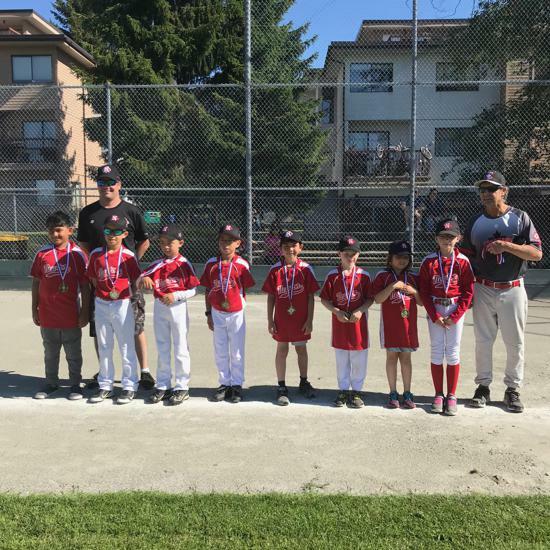 The kids all did fantastically well playing 6 games in the playoffs and winning the last 5 in a row to cap off the spring season. 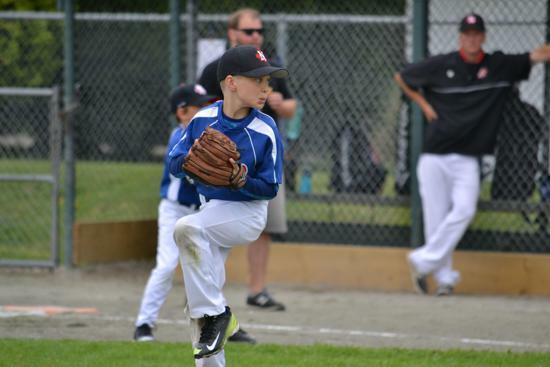 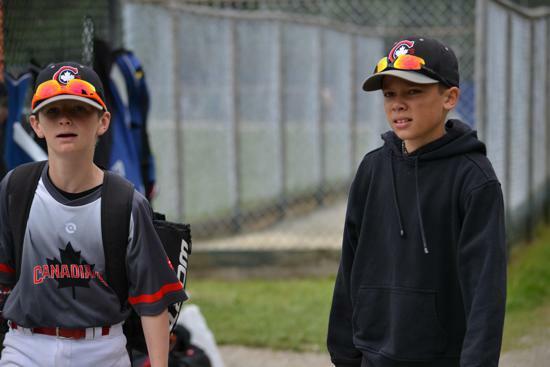 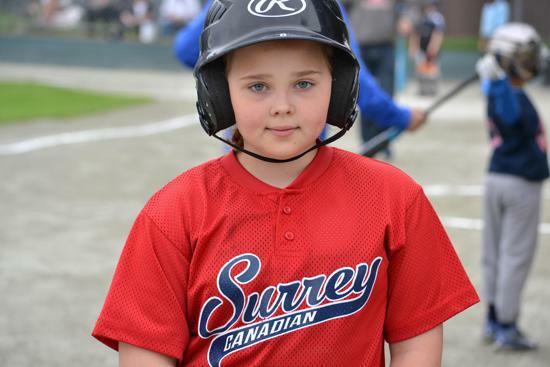 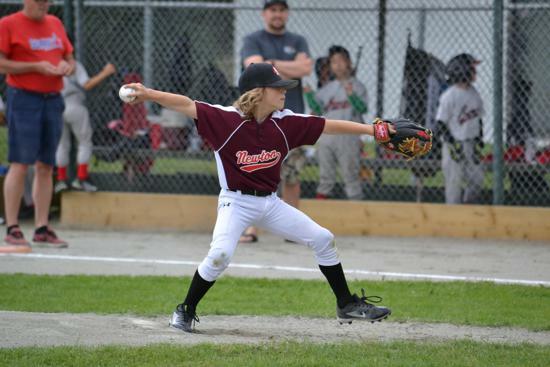 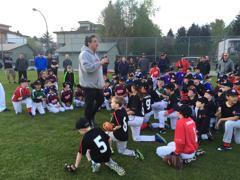 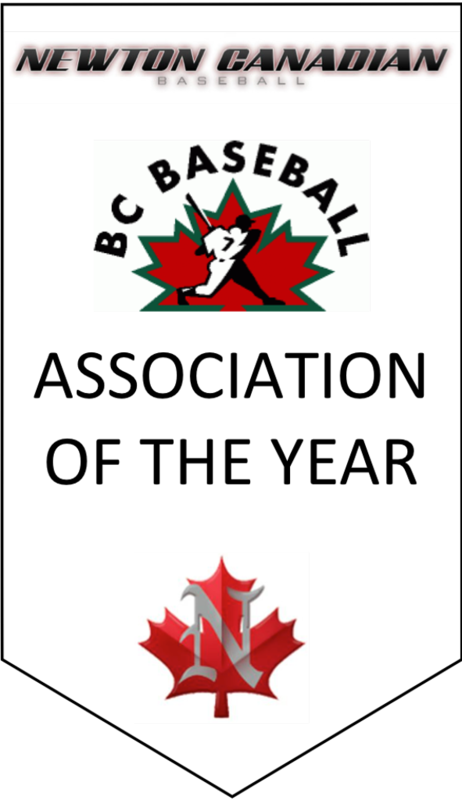 Congratulations to the following players who have been selected for the 2018 Surrey Newton PeeWee AA Summer Ball team. 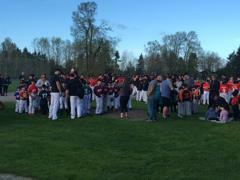 Thank you to all the other players who came to try out. 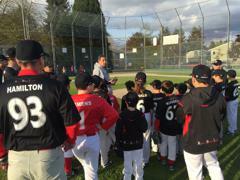 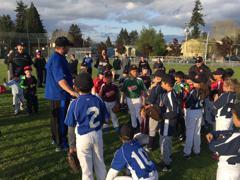 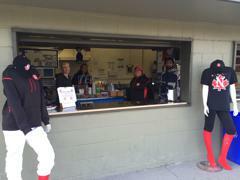 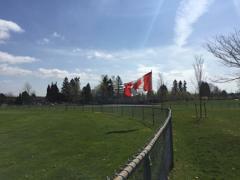 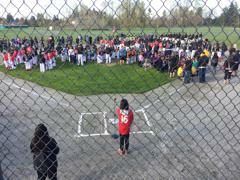 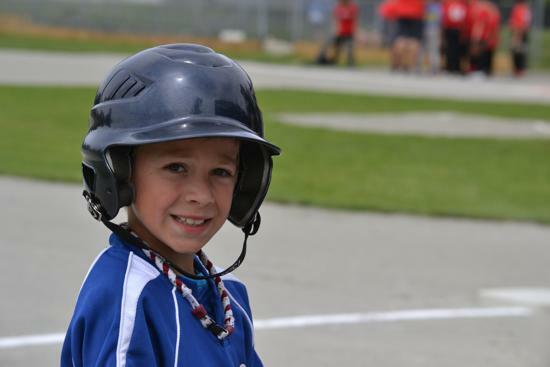 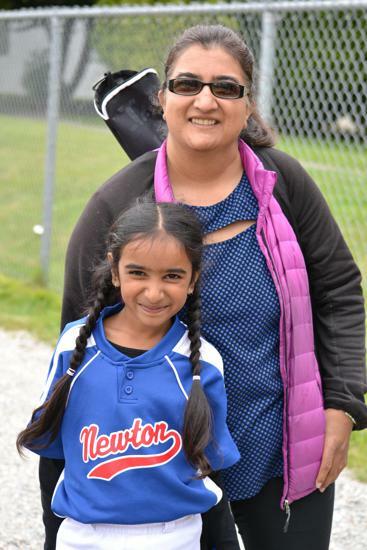 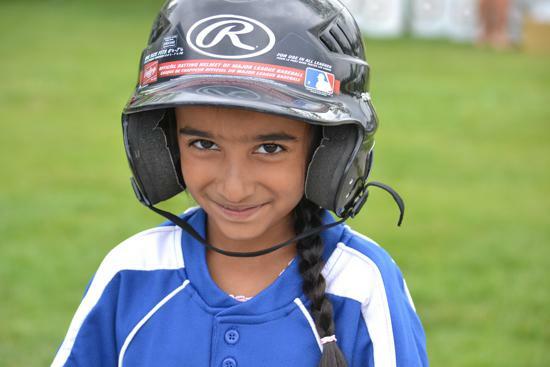 We will have a mandatory parent meeting this Tuesday, 19th at 6pm, Lionel Courchene Park. 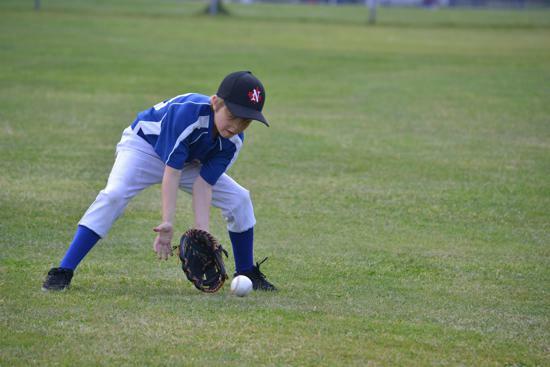 Practice to follow 6:30pm - 8:30pm. 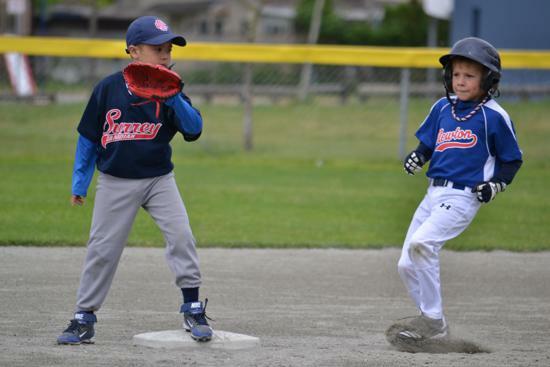 Review your teams scores and standings. 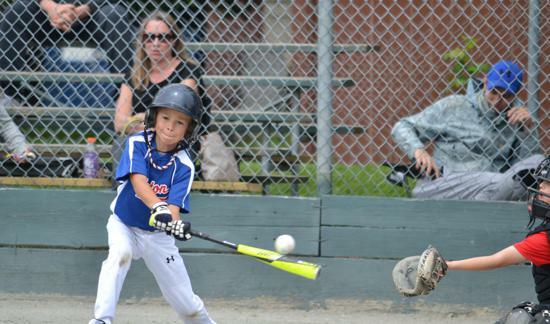 Caught some great action shots? 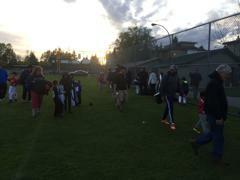 Some families having fun in the park? 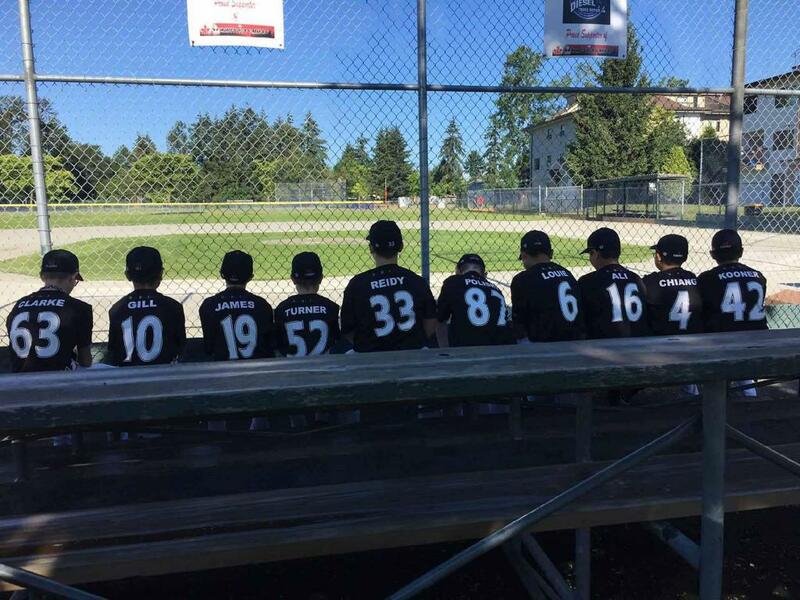 Send them in to share with everyone. 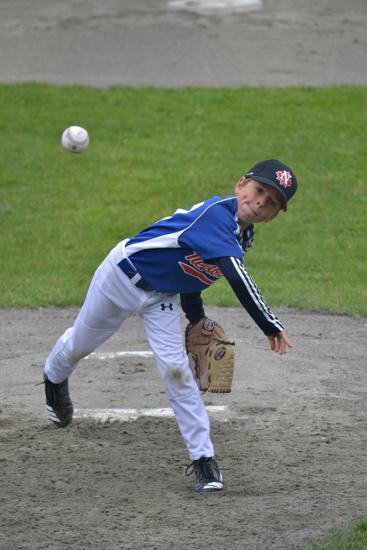 The NCBA Catalogue is out! 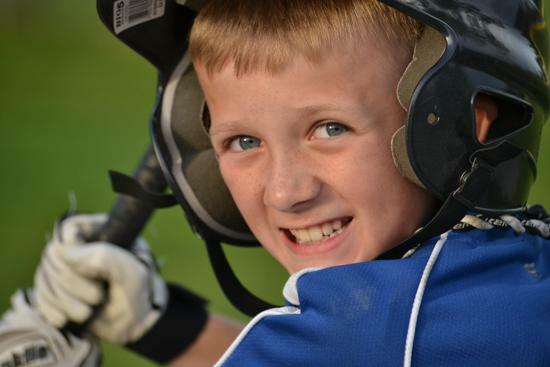 Click image to go to our online store. 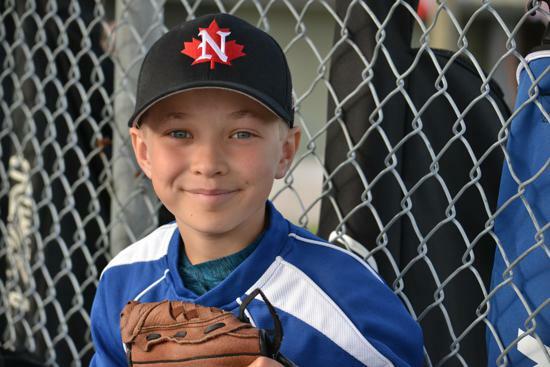 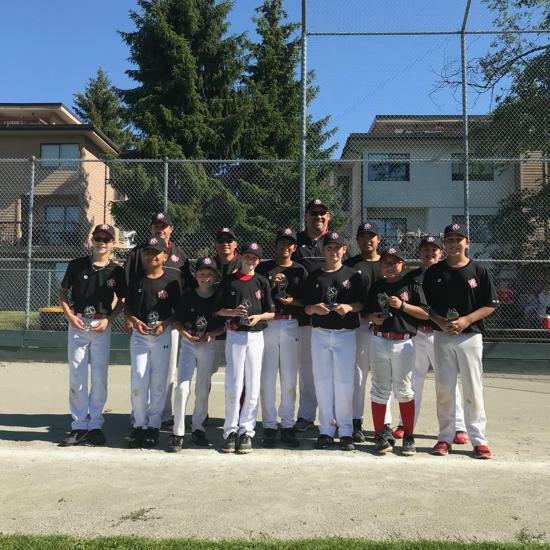 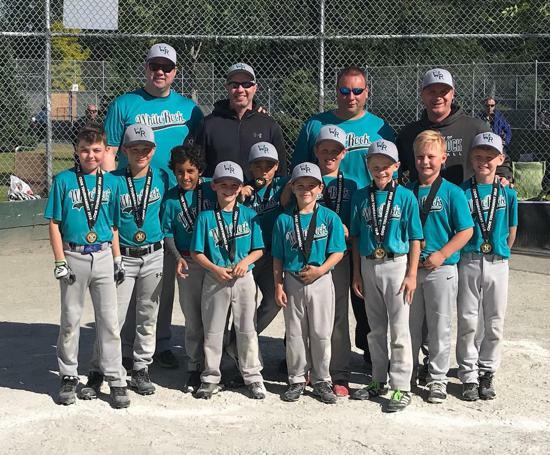 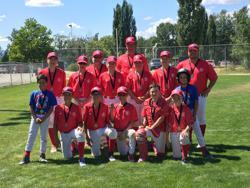 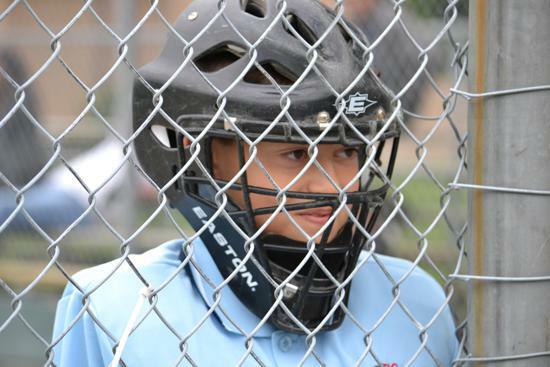 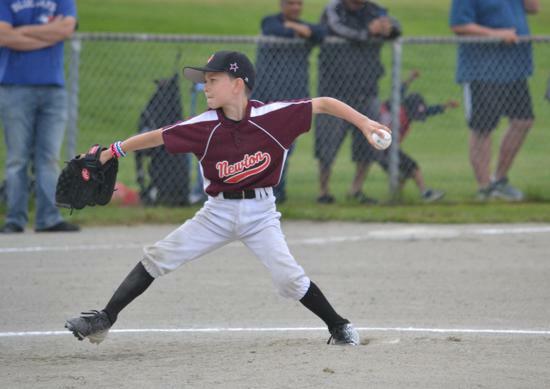 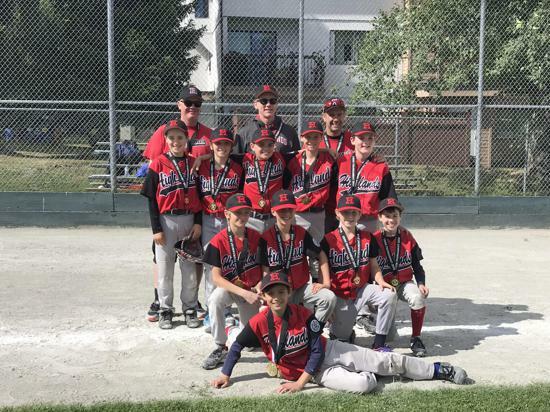 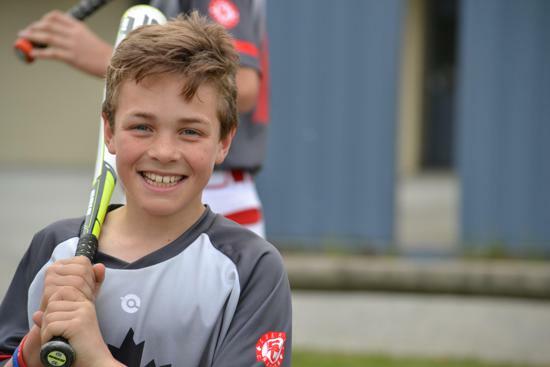 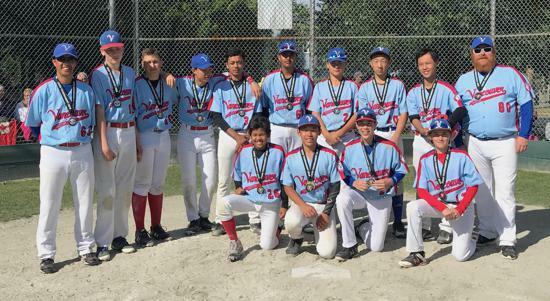 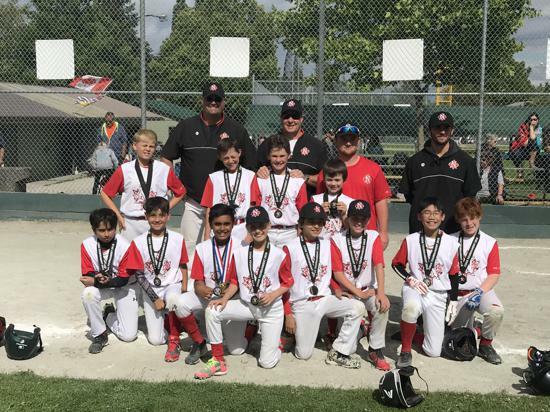 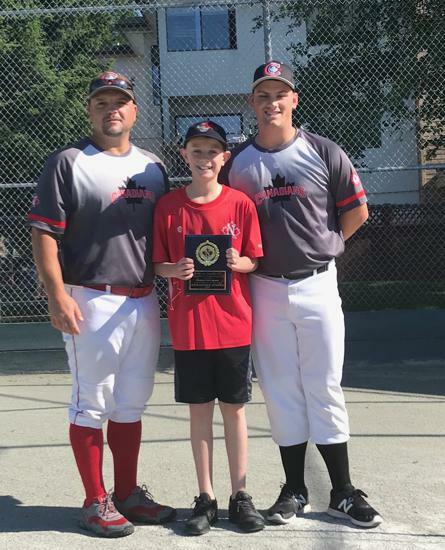 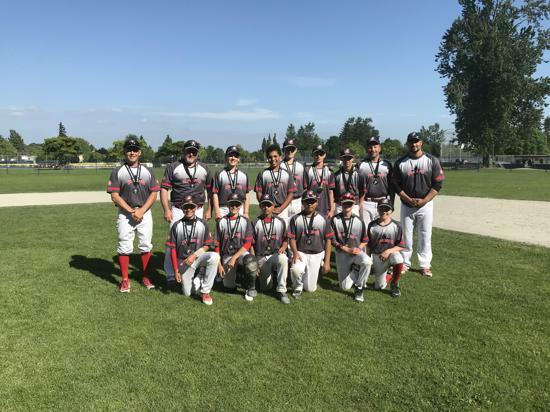 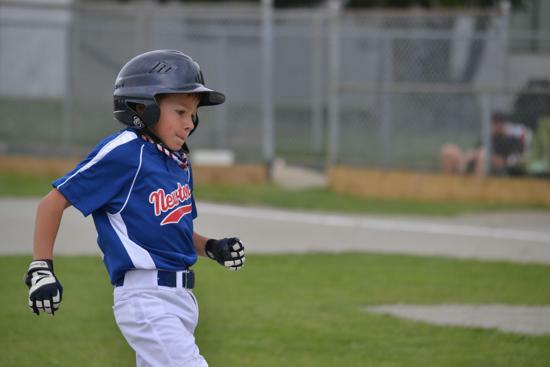 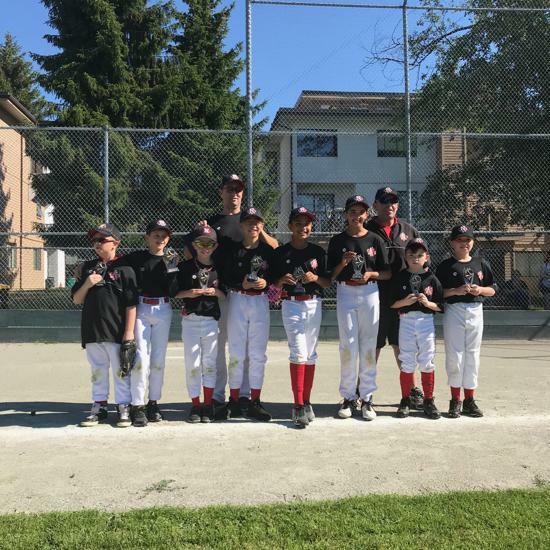 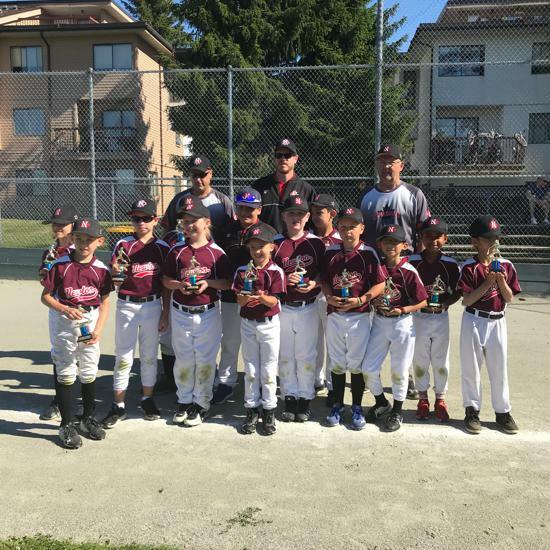 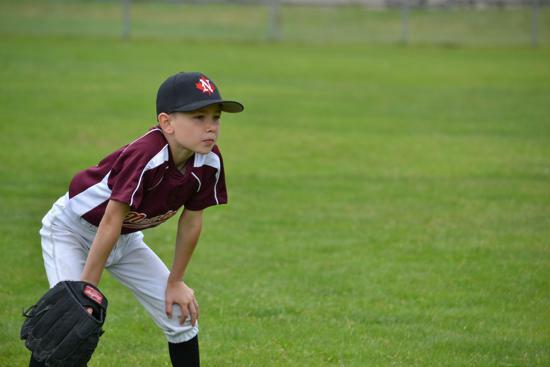 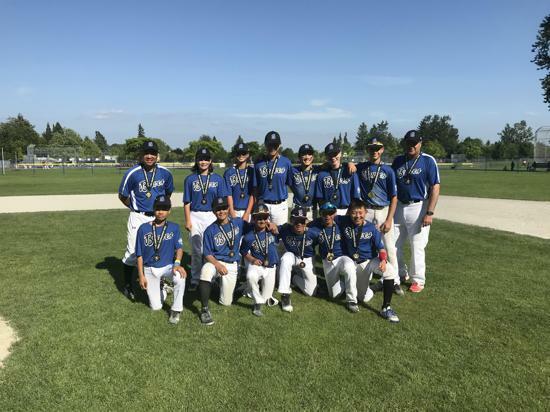 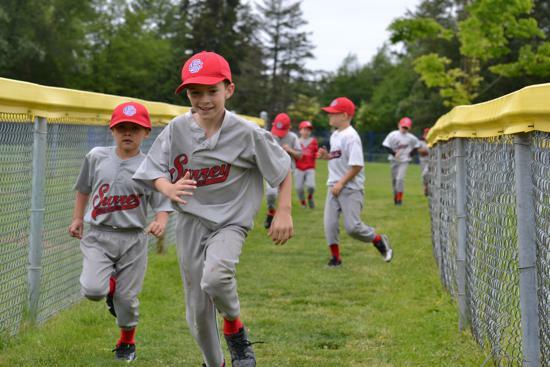 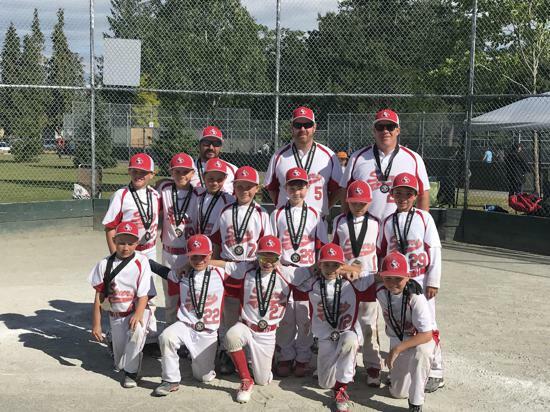 After a steaming hot weekend in Kelowna the joint PeeWee AA team with Surrey went 6 and 0 and emerged victorious in the Valley of Champions tournament in Kelowna with victories over teams from Alberta, Vernon, Victoria, COMBA, Penticton and West Kelowna. 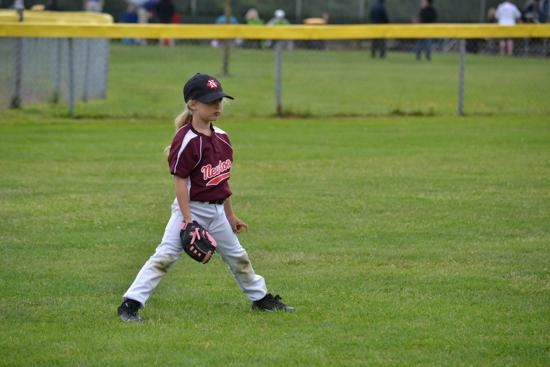 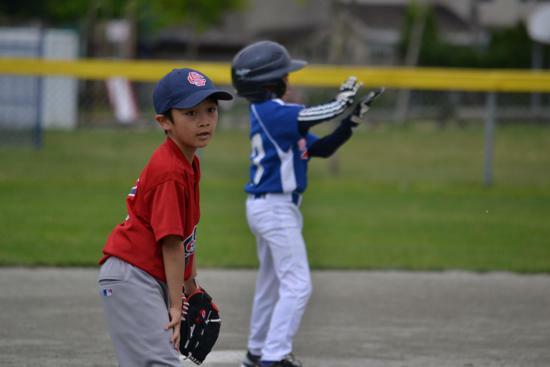 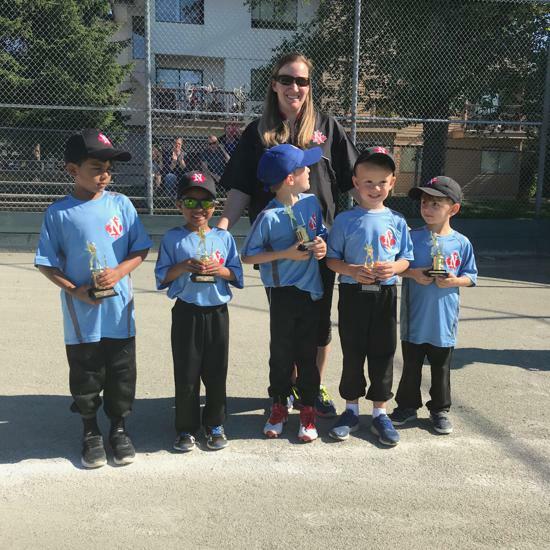 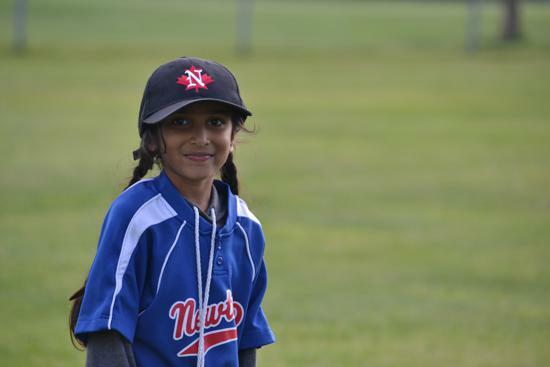 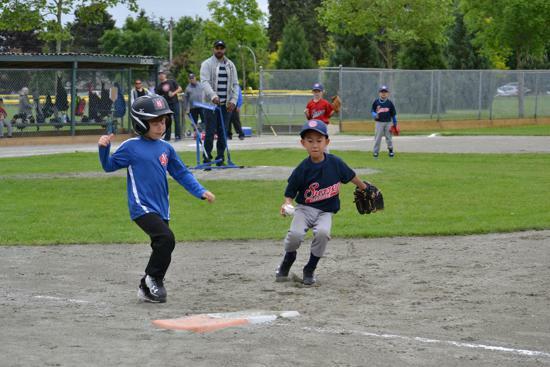 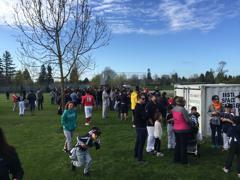 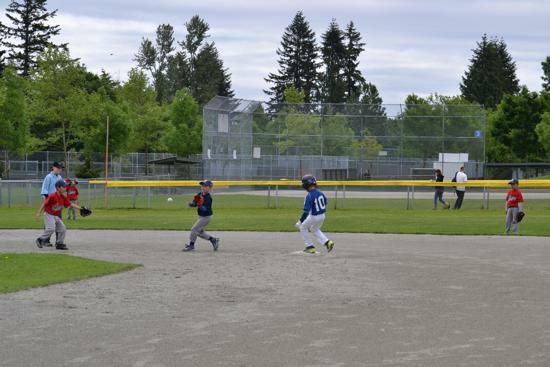 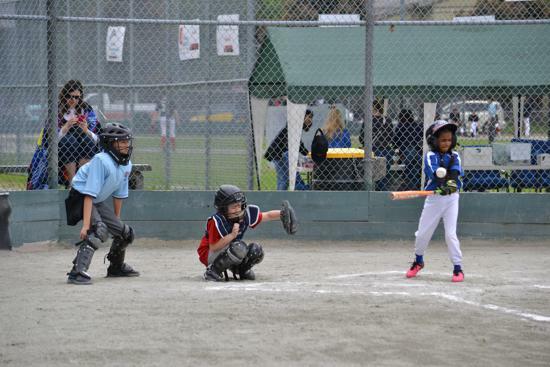 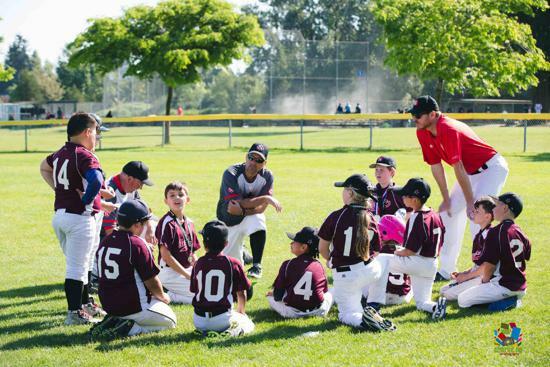 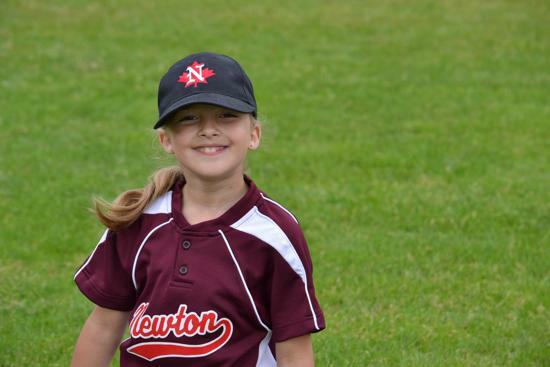 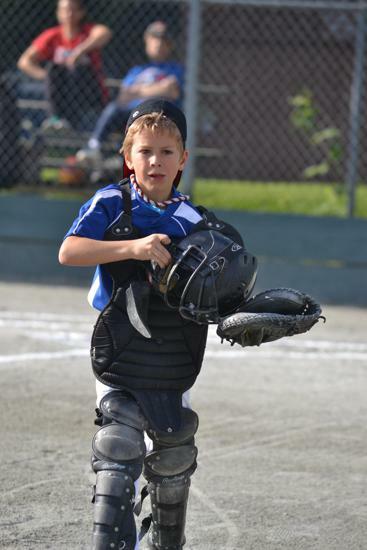 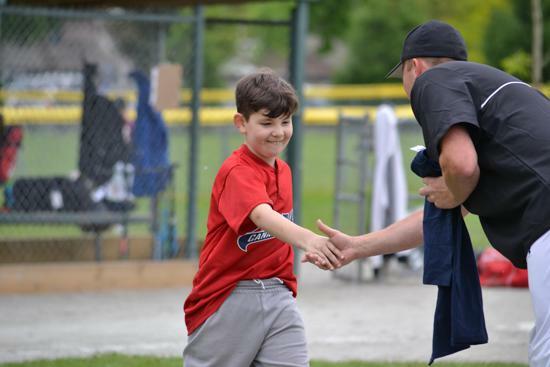 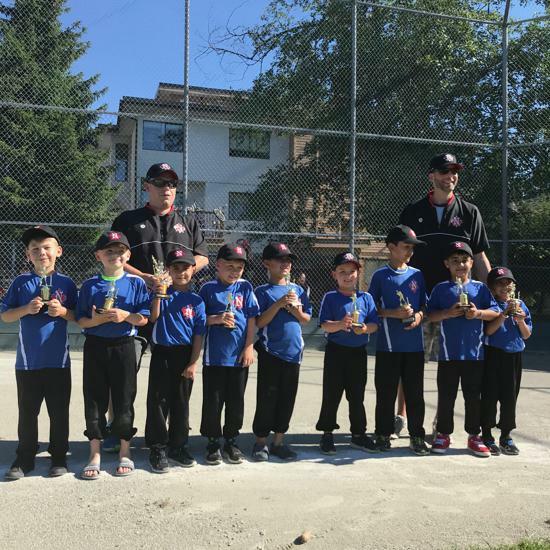 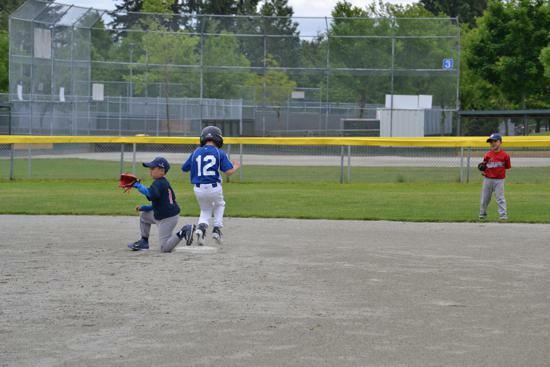 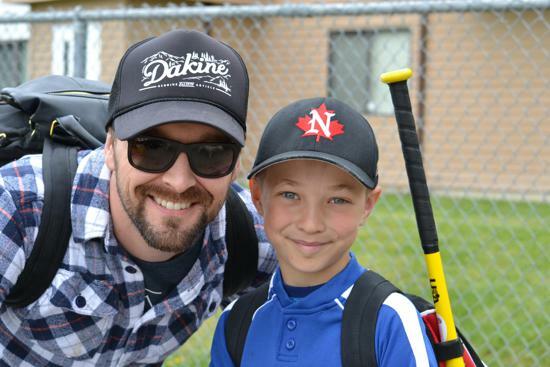 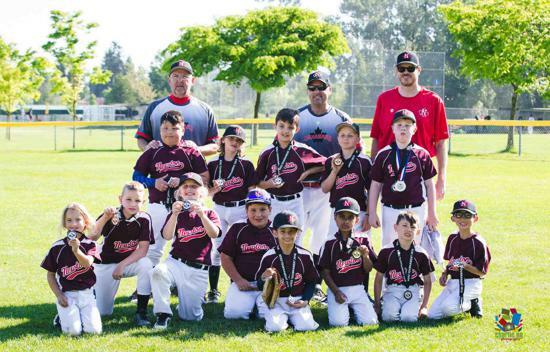 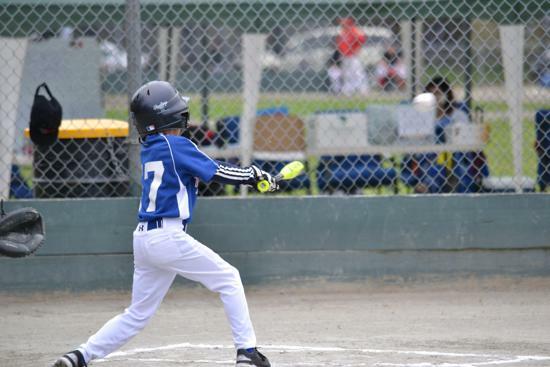 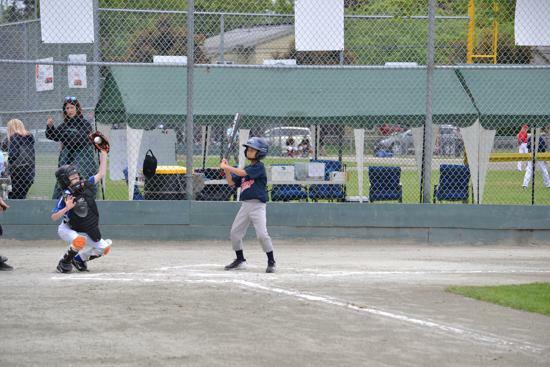 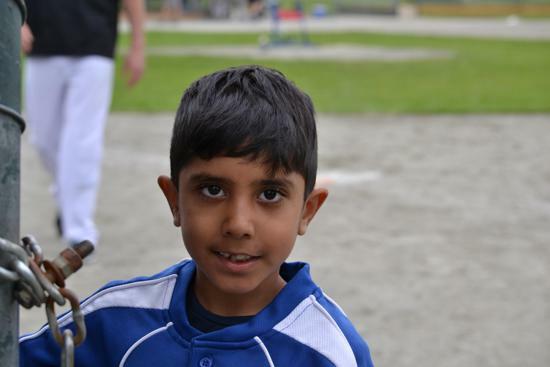 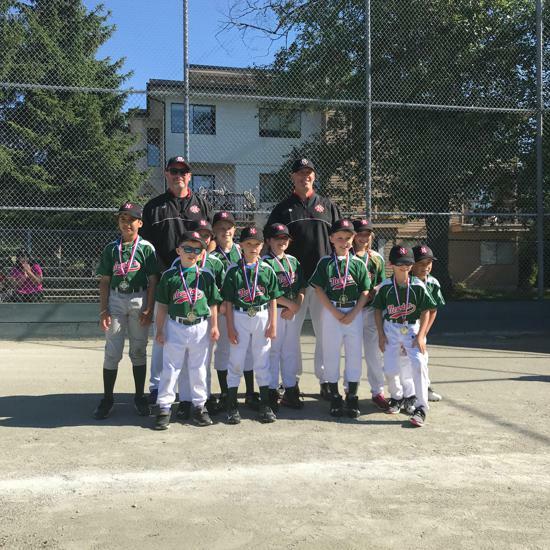 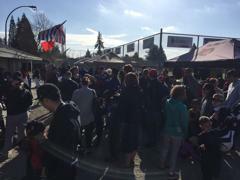 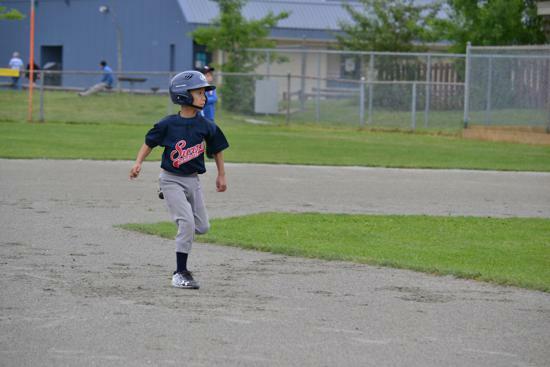 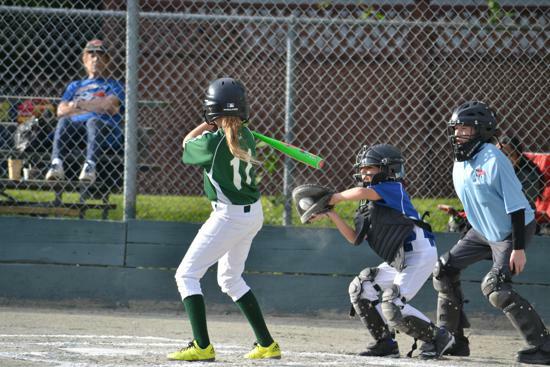 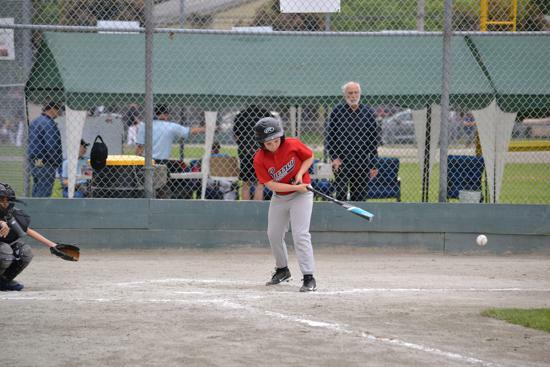 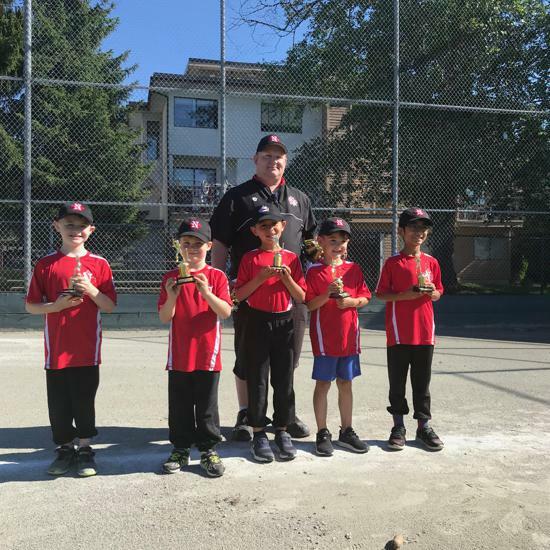 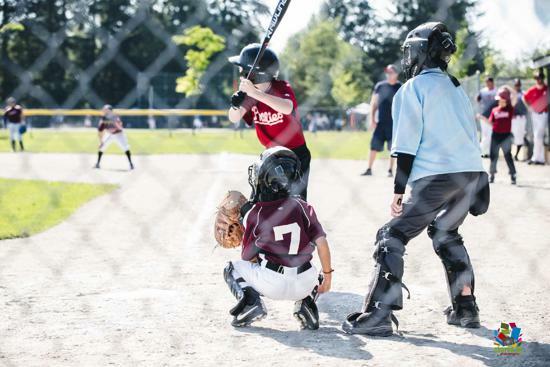 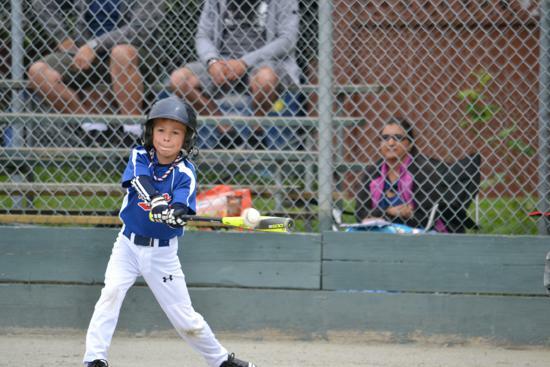 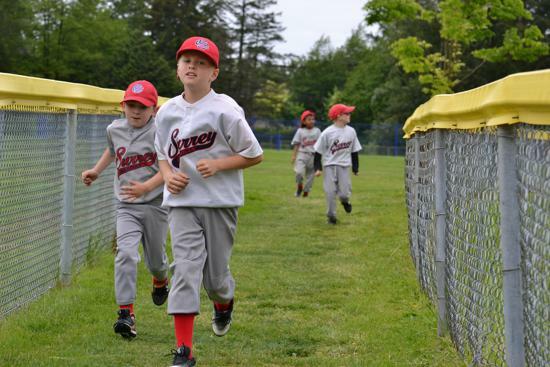 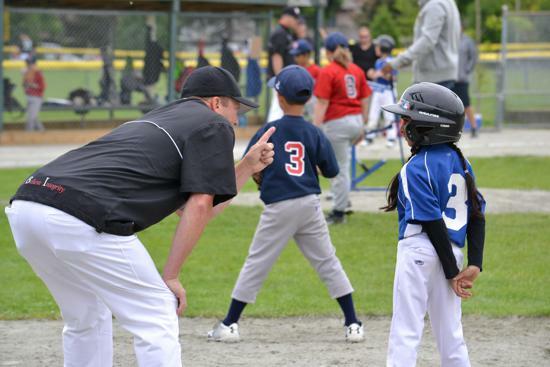 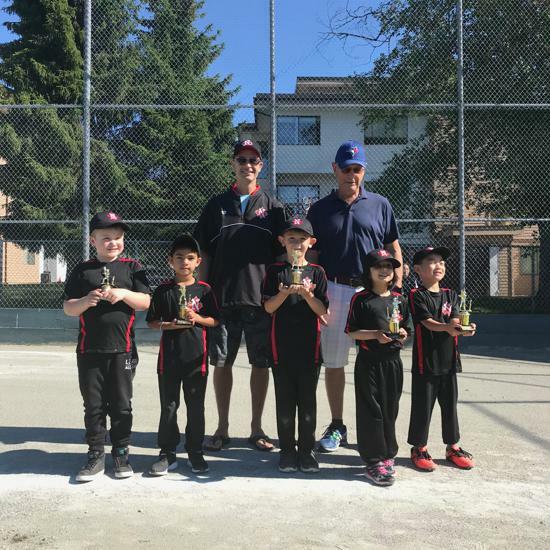 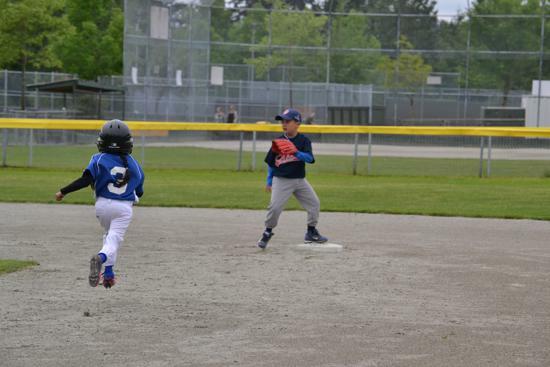 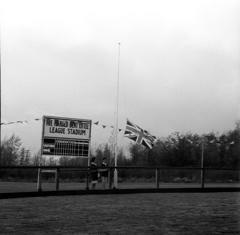 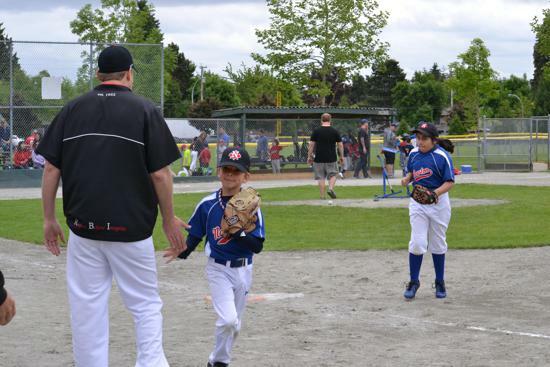 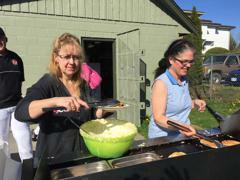 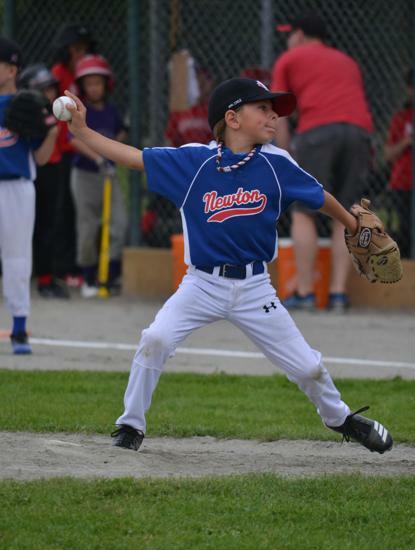 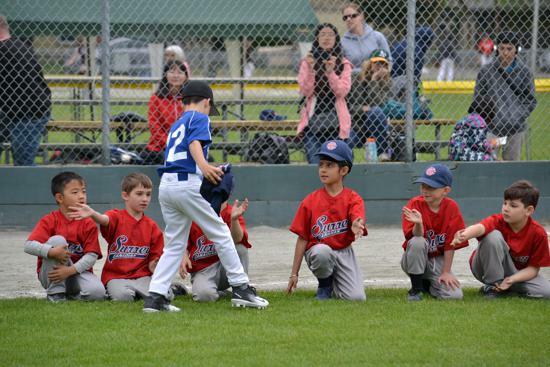 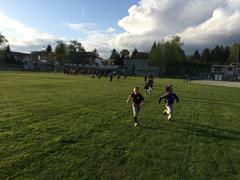 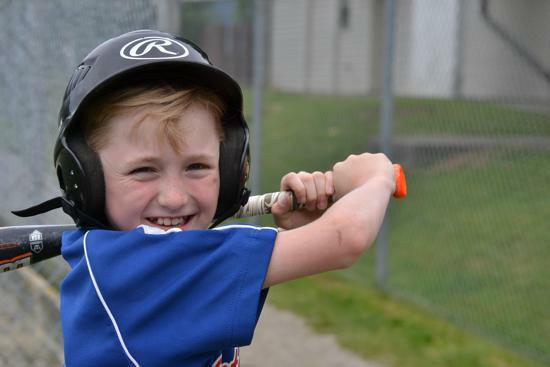 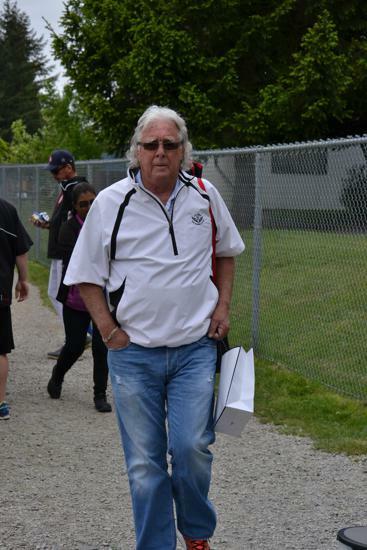 An all Cloverdale Tadpole Final saw the Pirates come out Triumphant. 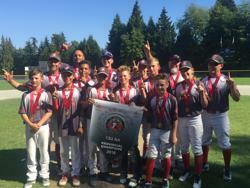 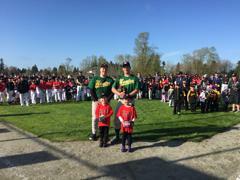 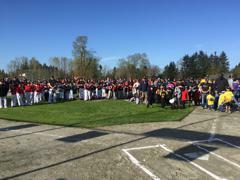 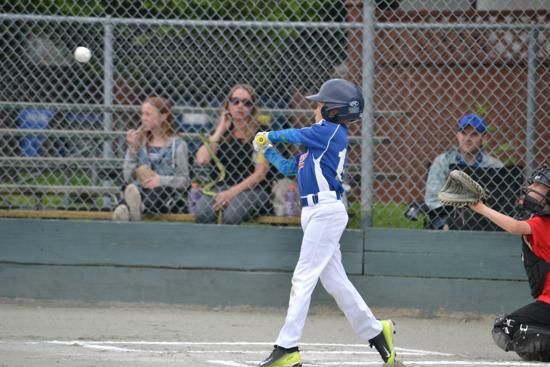 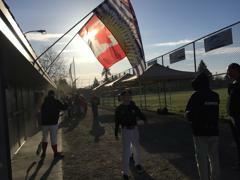 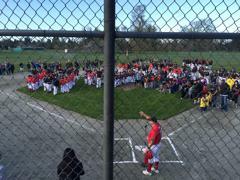 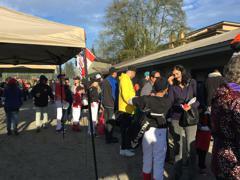 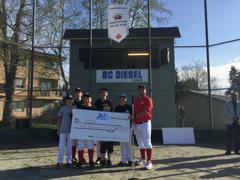 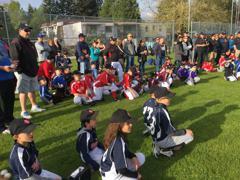 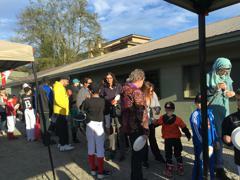 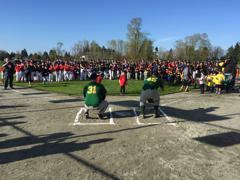 At PeeWee AA an amazing come from behind win saw Tsawwassen walk off with the victory over a classy Island visiting team from Cowichan. 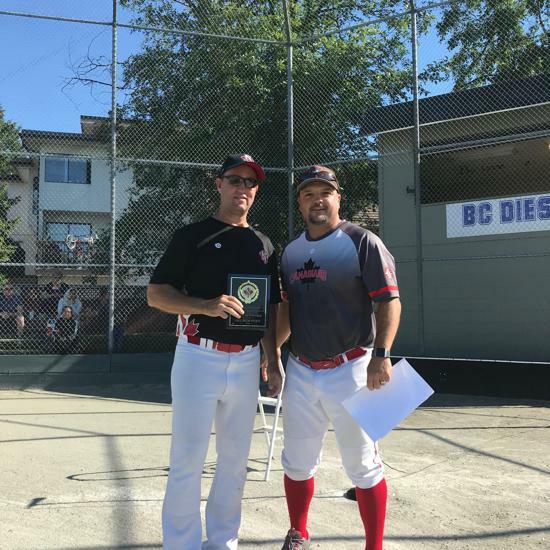 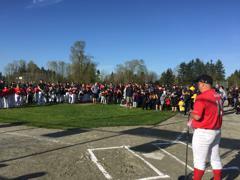 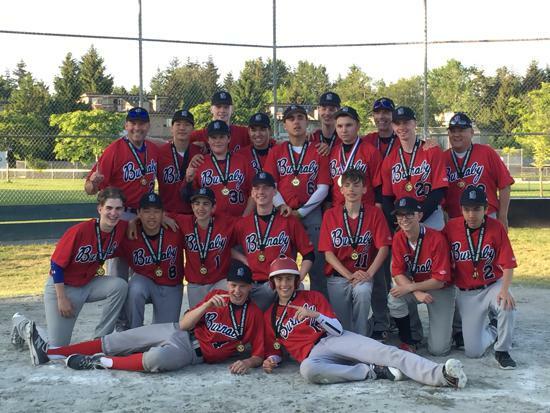 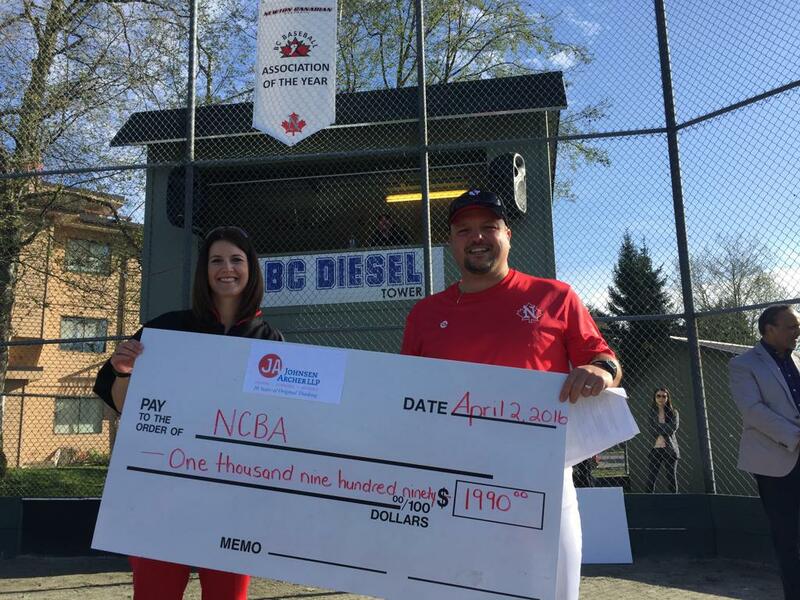 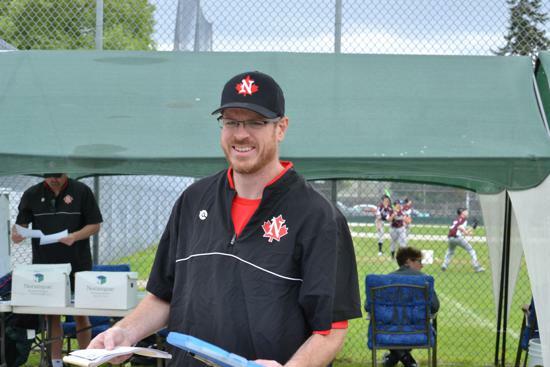 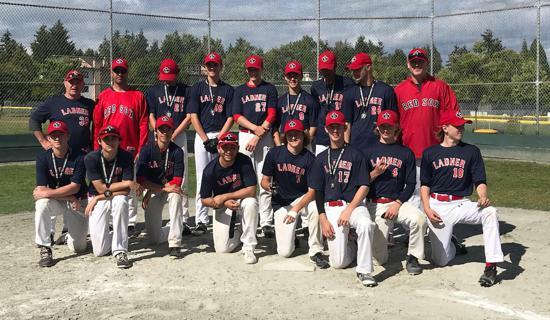 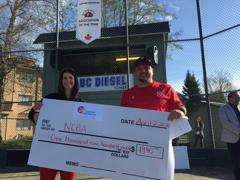 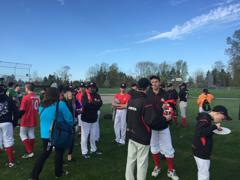 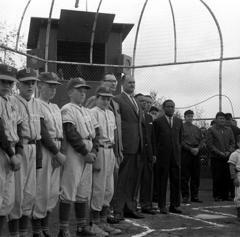 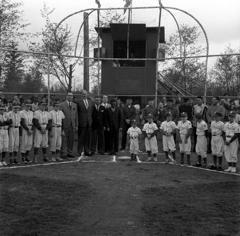 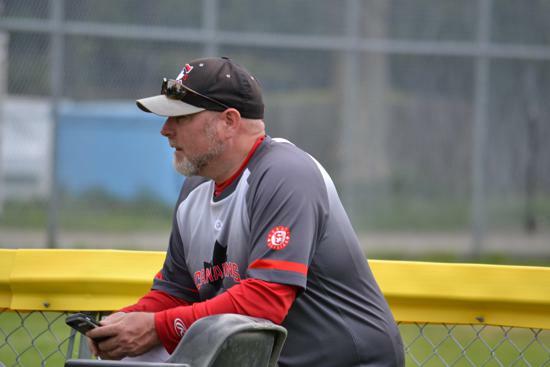 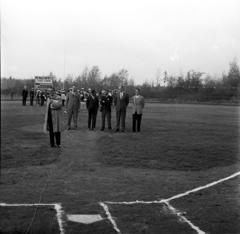 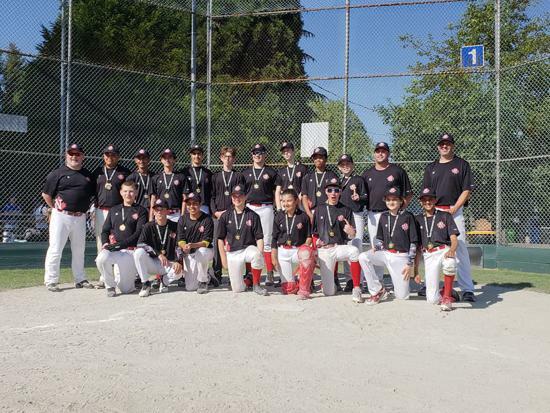 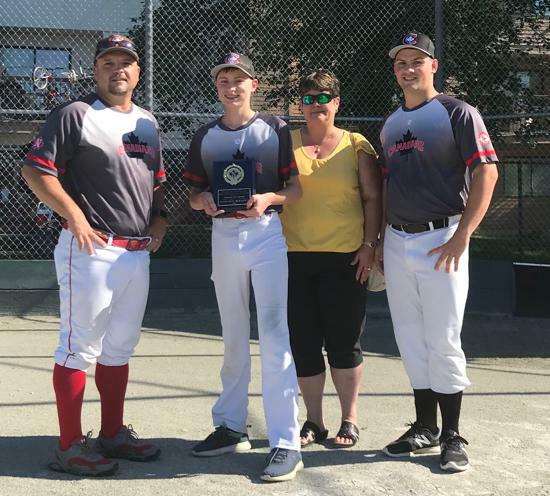 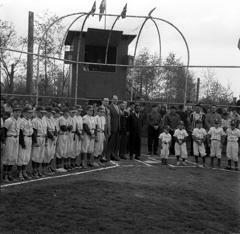 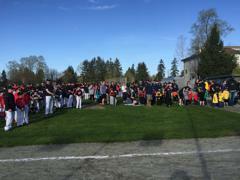 Newton Canadians lost in the Bantam Final to the Vancouver Dodgers and the Burnaby Braves topped Whalley in a tight affair at Midget AA. 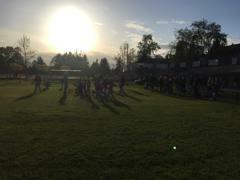 Thanks to everyone for making it a spectacular weekend. 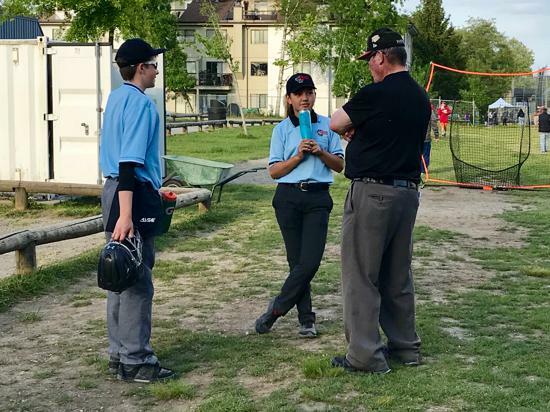 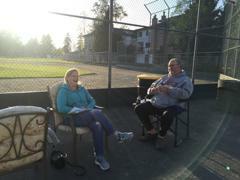 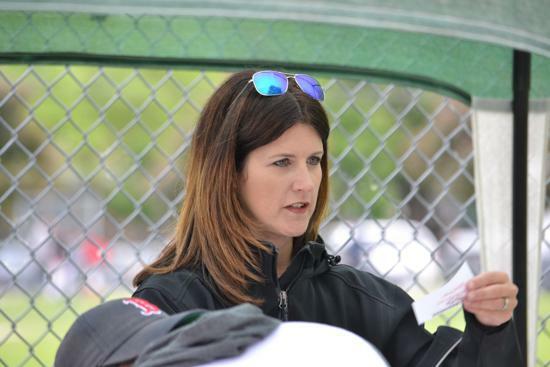 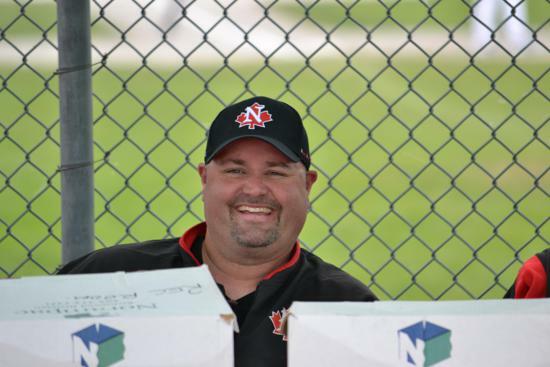 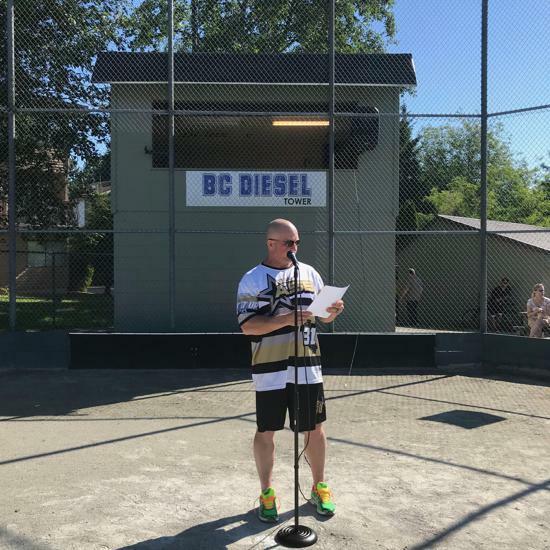 Thanks to everyone who volunteered over the sweltering weekend and a very special thanks to our Treasurer and Tournament Coordinator Carrie Stocco for her hours of work preparing everything to make the weekend the huge success it was. 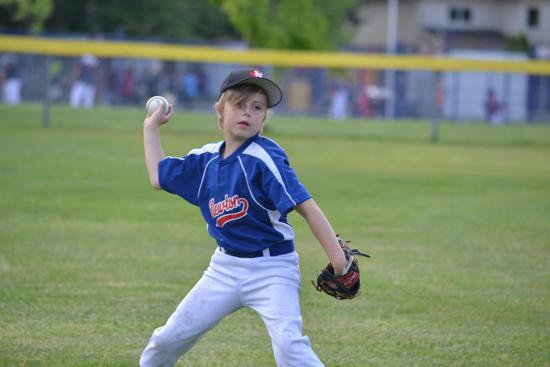 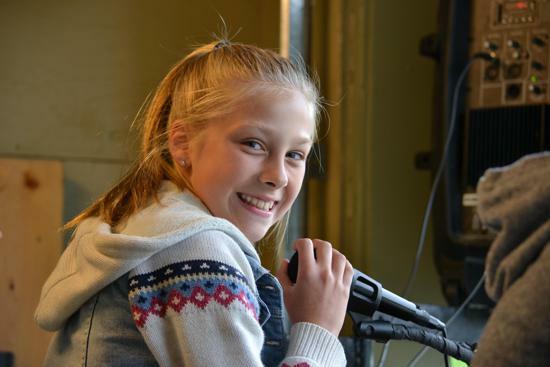 Send your pictures to us so we can share them online. 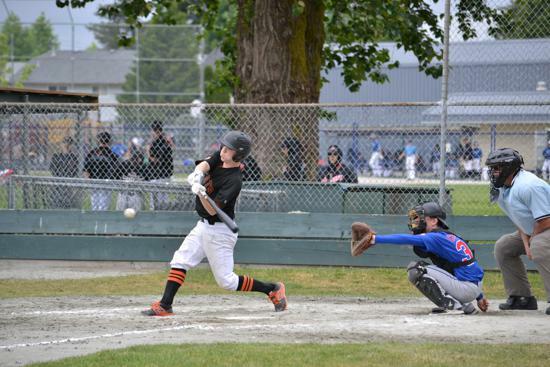 Big Ridge Brewing, a great neighbourhood restaurant on the SE corner of 152nd & #10 Hwy, has generously agreed to donate 10% of your bill back to the Baseball Club. 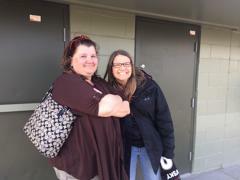 Just mention that Sheila the manager has created a file for us and it's done! 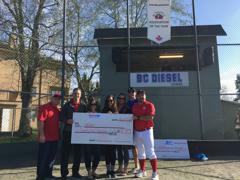 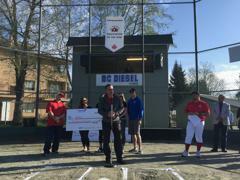 Thanks to Scott Cowden and the team at Ramada Vancouver for their generous support. 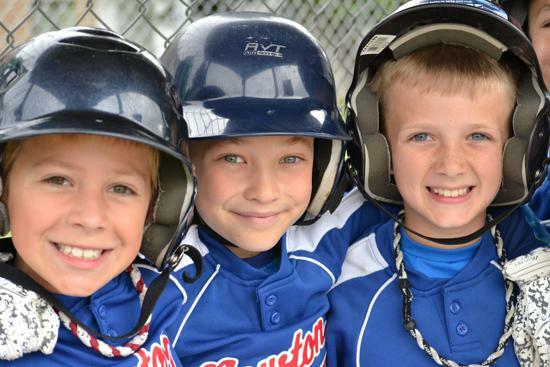 Remember them when you have guest in town. 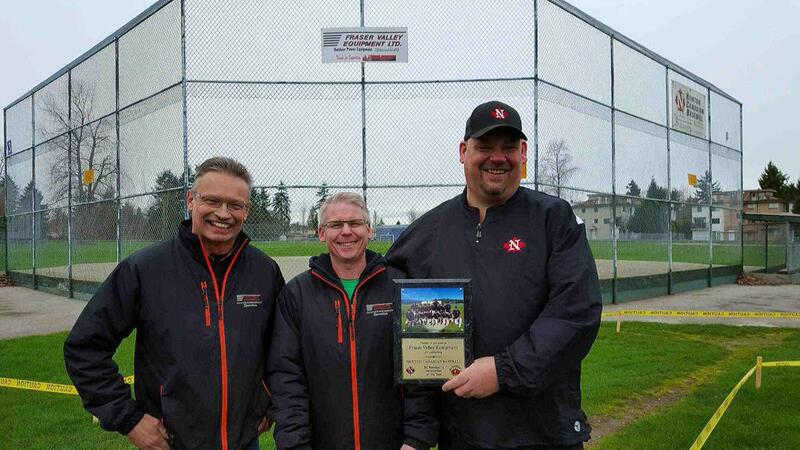 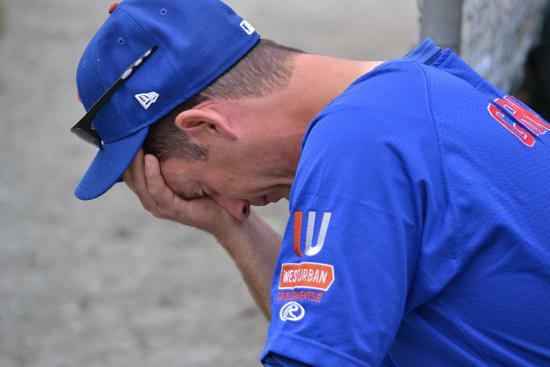 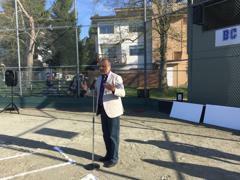 "We used coach Rob to renovate (rebuild completely!) 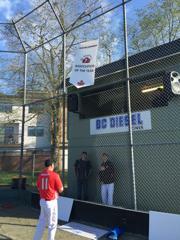 our laundry room. 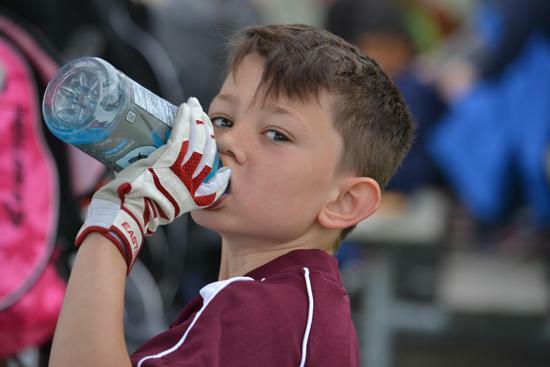 He was quick, tidy and great value. 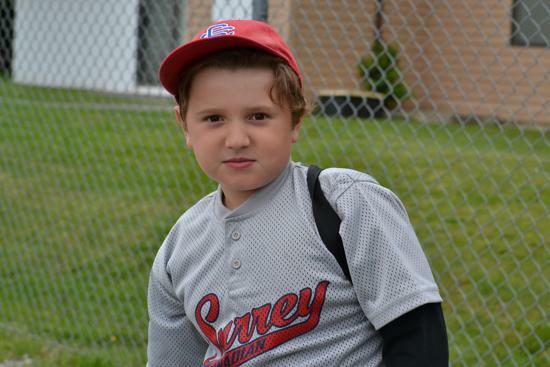 I would recommend Rob unreservedly!" 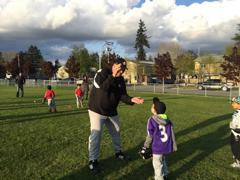 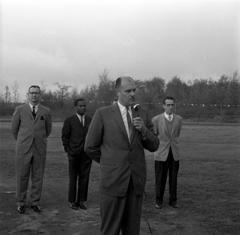 Coach Mark. 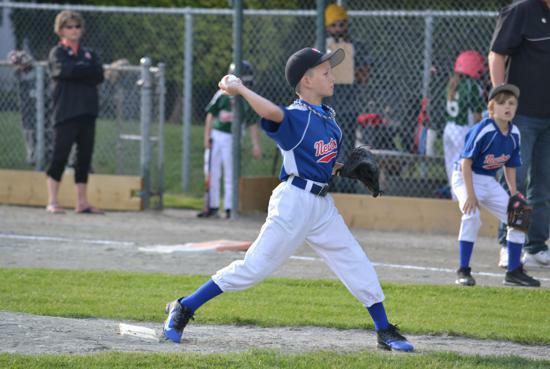 Ball Park Sports is offering 10% off everything in store and 20% off all Baseball Pants and Socks when you mention Newton Baseball!! 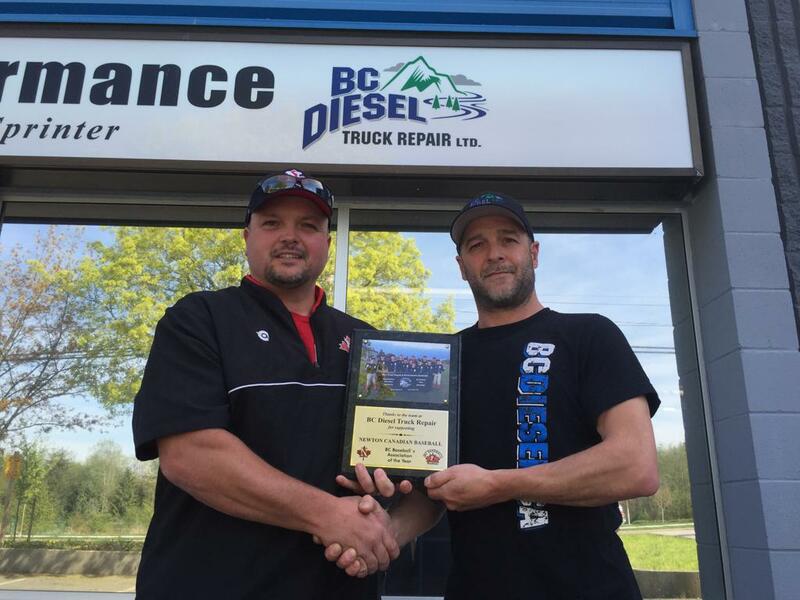 Our Club Sponsors step up again! 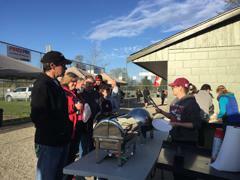 We are now set up for our volunteers to request their CRC online and for NCBA to receive them electronically. 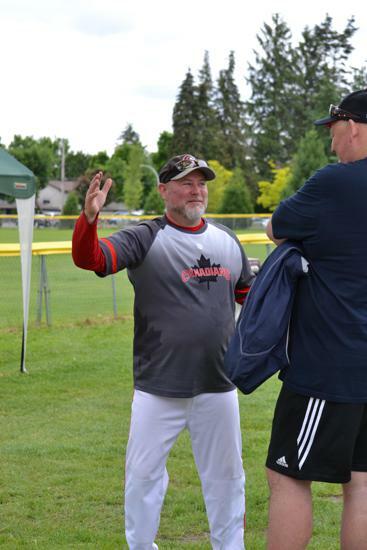 The NCBA President will receive all CRC's.